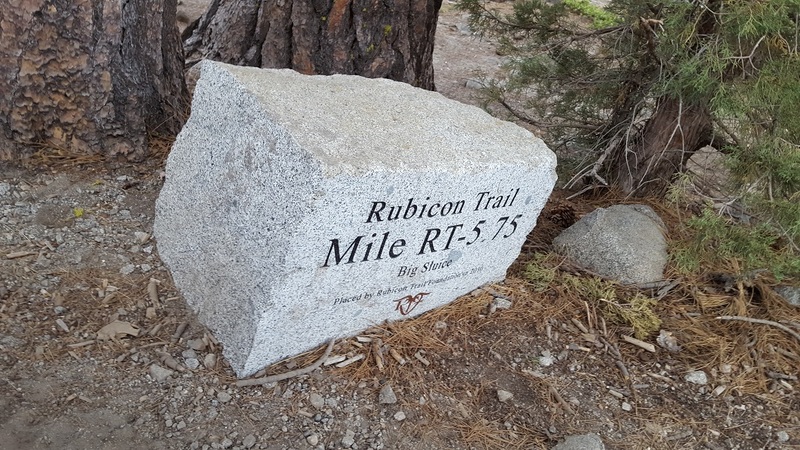 The Rubicon/McKinney Road in Northern California got its name because it crosses the Rubicon River at one point near Lake Tahoe. 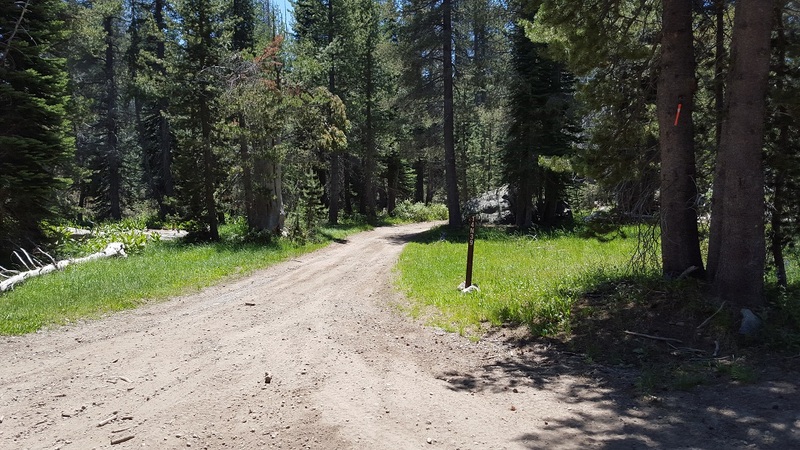 Originally established in the 1800's, the road was used as a stagecoach road between Georgetown and Lake Tahoe. After the hotels went out of business, the road began to deteriorate. 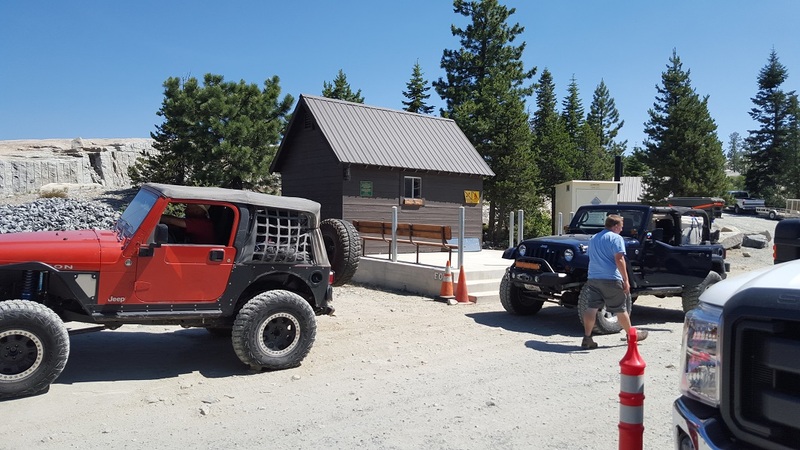 Because of this, in 1952, several residents of Georgetown held a meeting to discuss the possibility of an organized Jeep tour from Georgetown to Lake Tahoe, via the Rubicon Trail. 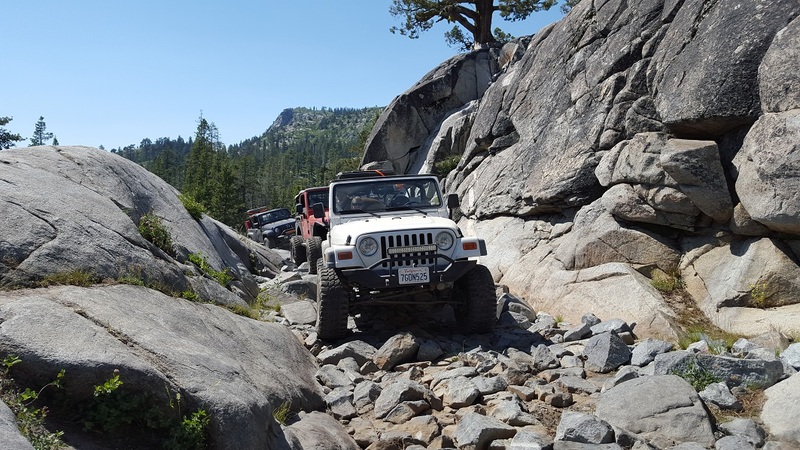 On August 29, 1953, 55 Jeeps with 155 enthusiastic participants left Georgetown on a two-day trip that is now known as "Jeepers Jamboree 1." 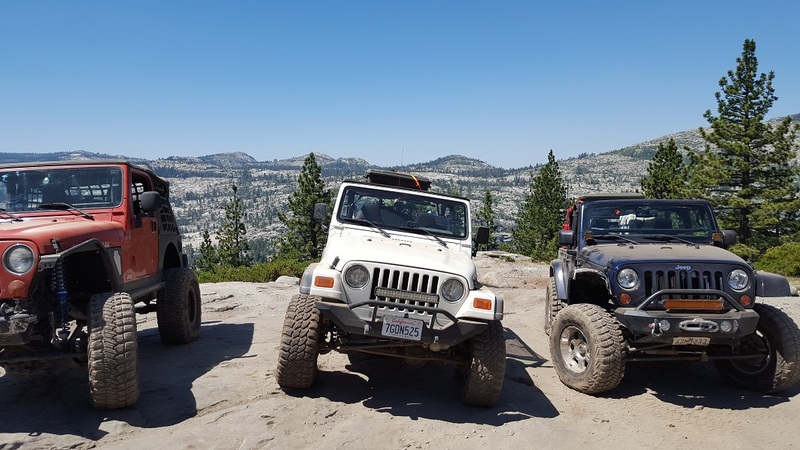 Since then, the Jeepers Jamboree organization has moved the event to the last weekend of July. Now it's a four-wheelers tradition of these "pioneers." 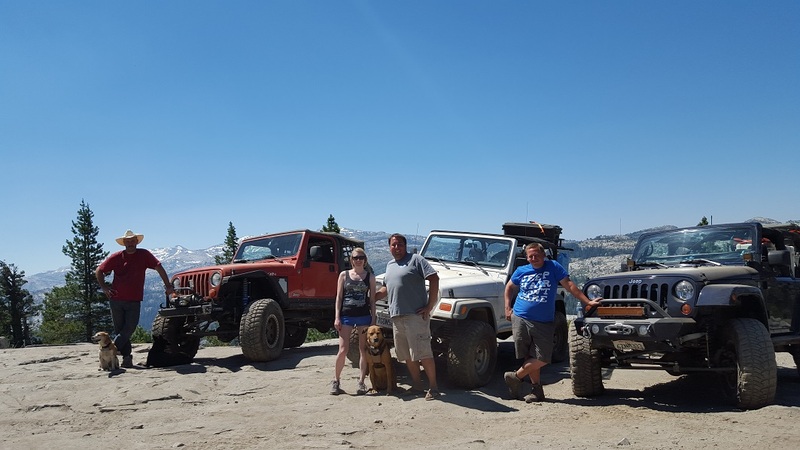 Today, almost everyone has heard of The Rubicon Trail. 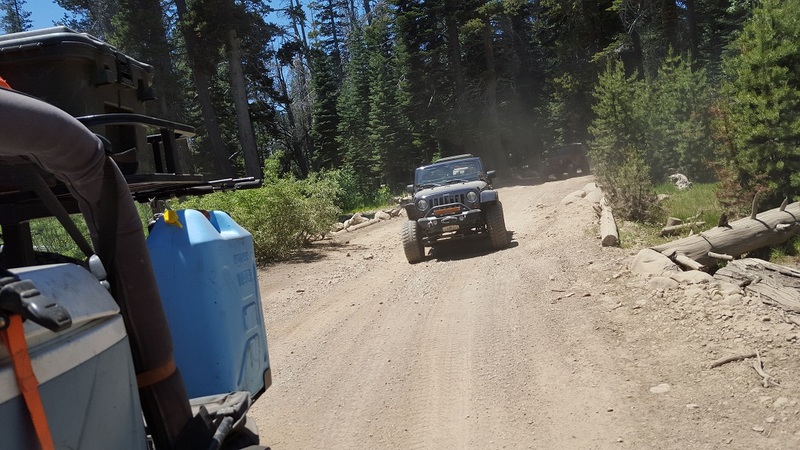 Believed to be the Super Bowl of offroad trails, this extreme trail is a must-do destination for all offroaders, overlanders, and rock crawlers. 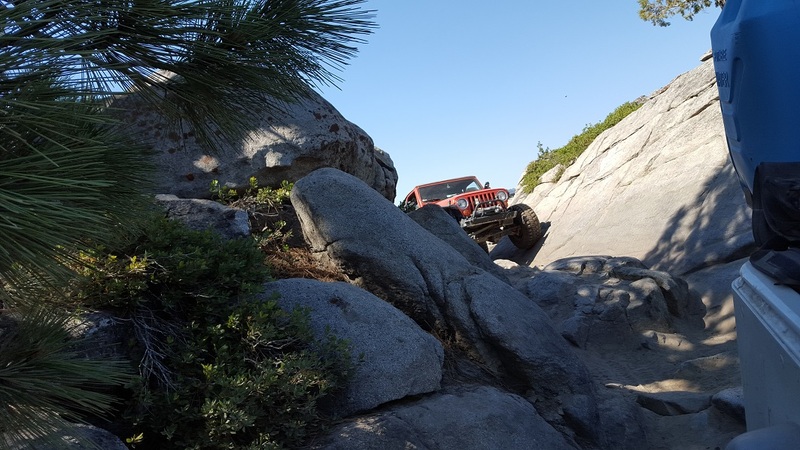 Comprised of miles of nonstop 4-low rock crawling, this trail is going to test your driving skills and your vehicle. 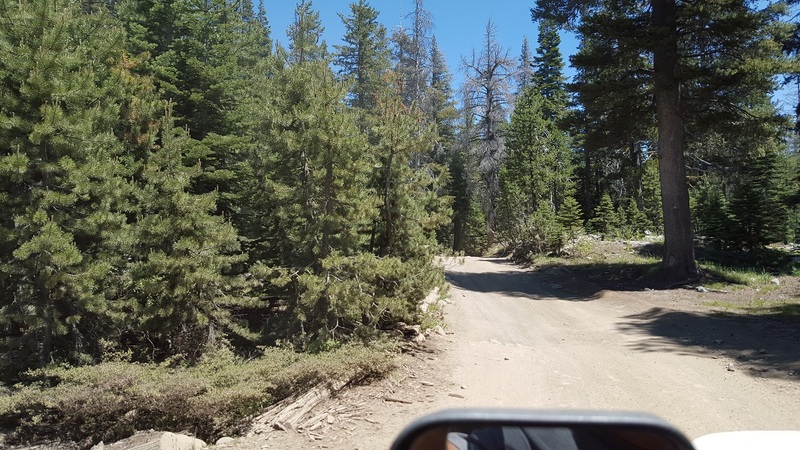 According to who you talk to, this trail is scary intense to a weekend camping trip. But don't be fooled, this trail should never be underestimated for one second. Rocky or undulated road surface. Rocks less than 10' tall. Vertical ledges less than 8' tall and/or near vertical ledges or waterfalls less than 18' foot. Tire placement not good. 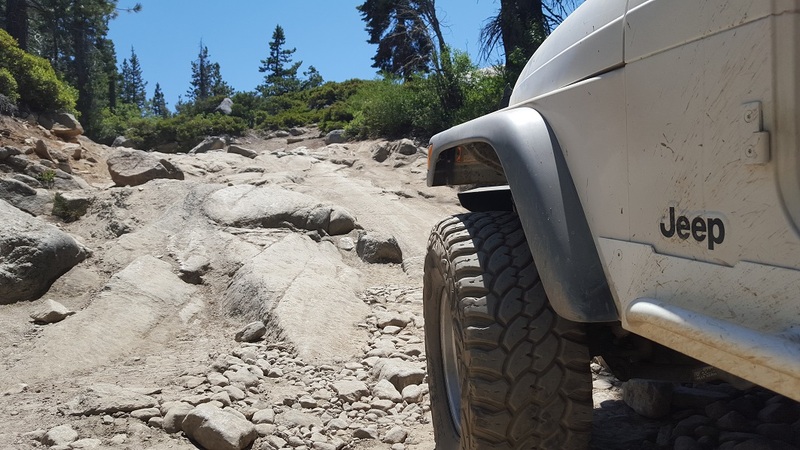 Extreme steep and off-camber. West Rubicon Trailhead - Restrooms On August 14, 2012, the El Dorado Board of Supervisors formally voted 5 - 0 and then signed a historic agreement for an easement with the US Forest Service. 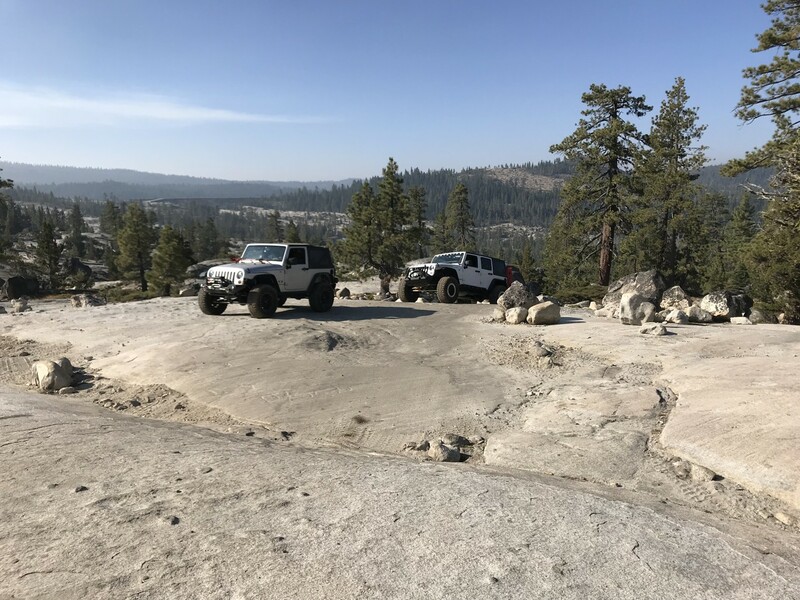 The agreement locks into place a definition of the trail through the forest and also formally puts the county in charge of the road, making the legal status of the Rubicon Trail an unmaintained county right of way, thus protecting it for future offroaders. 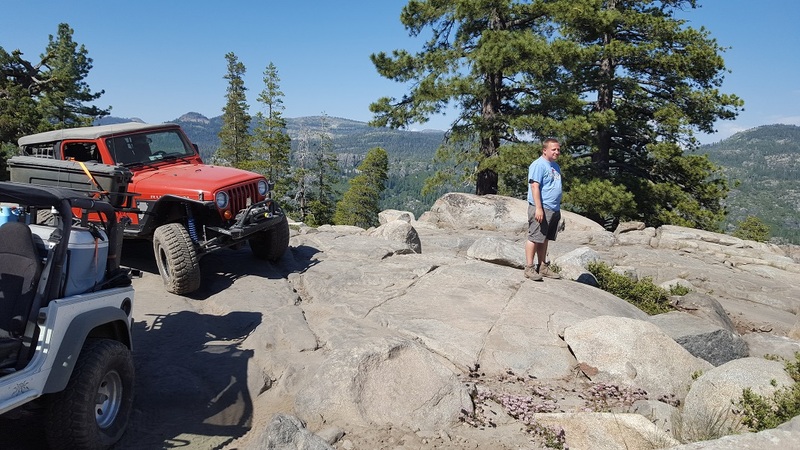 Right out of the hole, you are going to be faced with amazing views and increasing difficulty on the Rubicon Trail. 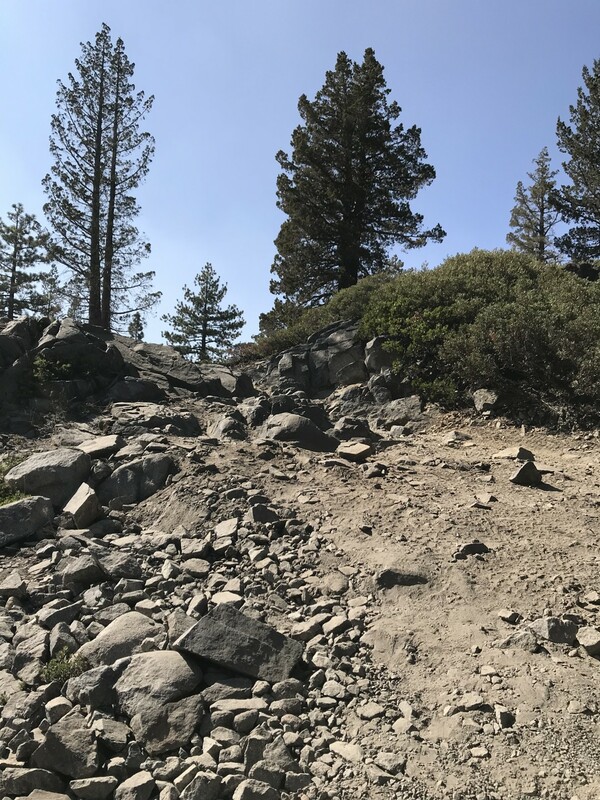 The Gatekeeper, the first difficult obstacle on the trail, is a small rocky section that will give you a true idea of what to expect further up the trail. This section is full of free-standing, large rocks that are over 3 feet round. 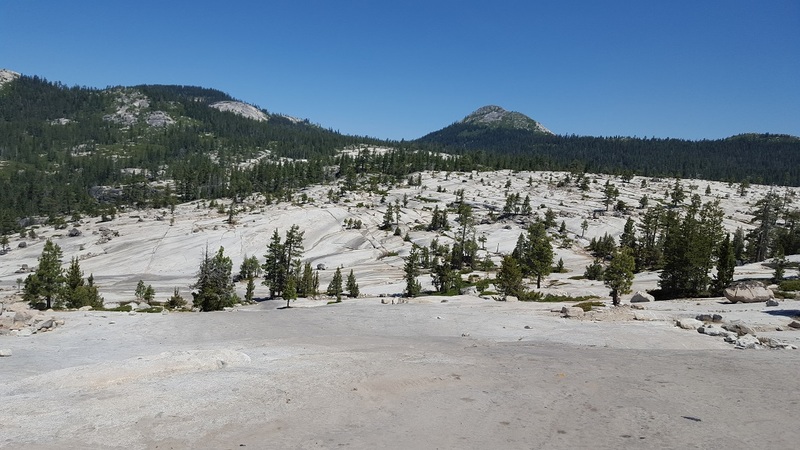 Awe-inspiring is the common term people use when talking about The Granite Bowl. 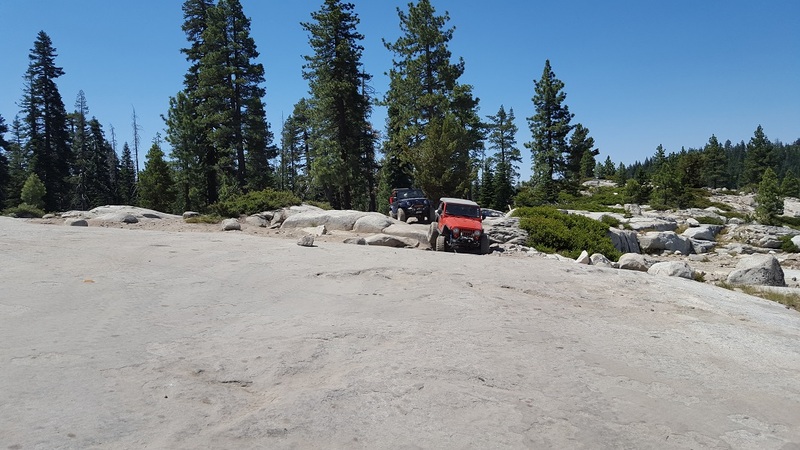 This area of the trail is what people normally think of when thinking of The Rubicon Trail. 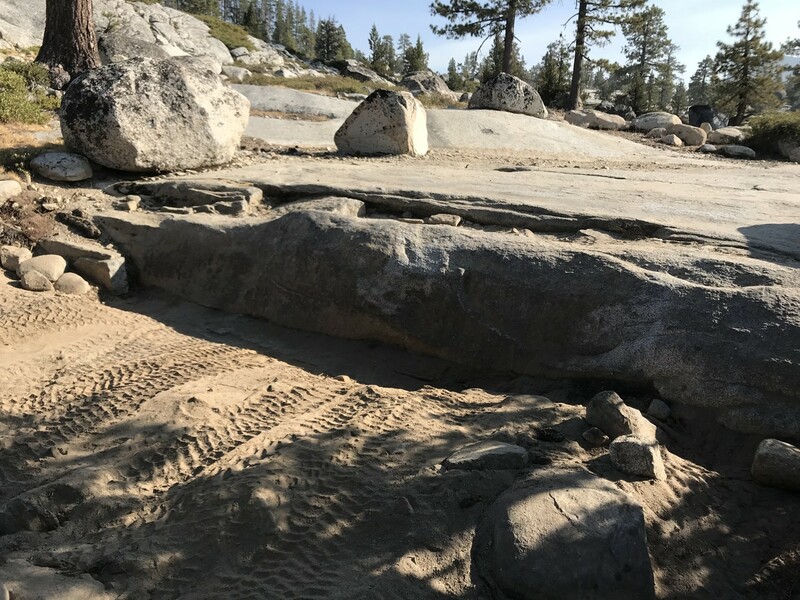 You and your group will have to navigate across this 3/4 mile wide granite slab. 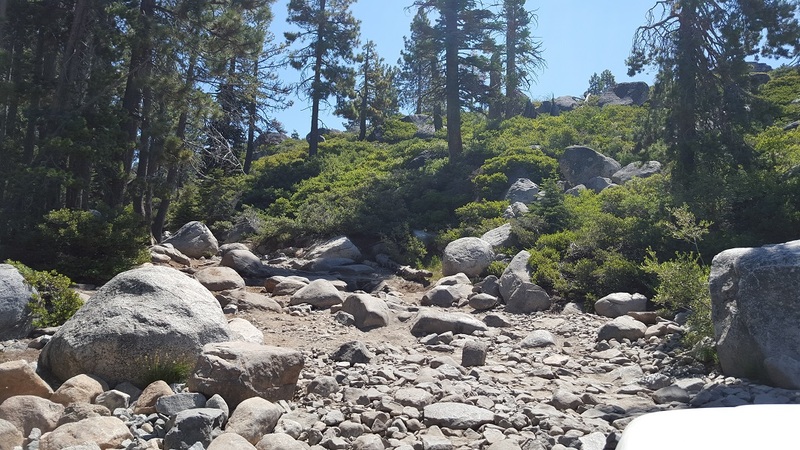 Along the route, you will drop off ledges and have to climb back up them. 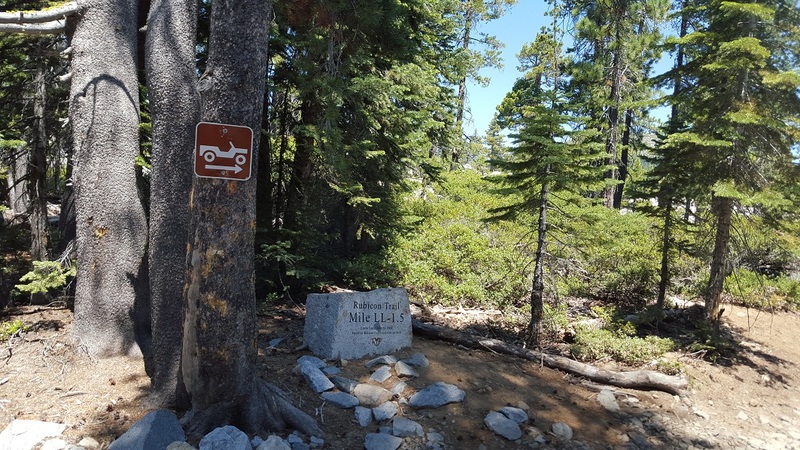 The trail is marked with road markers to help guide you along the path. 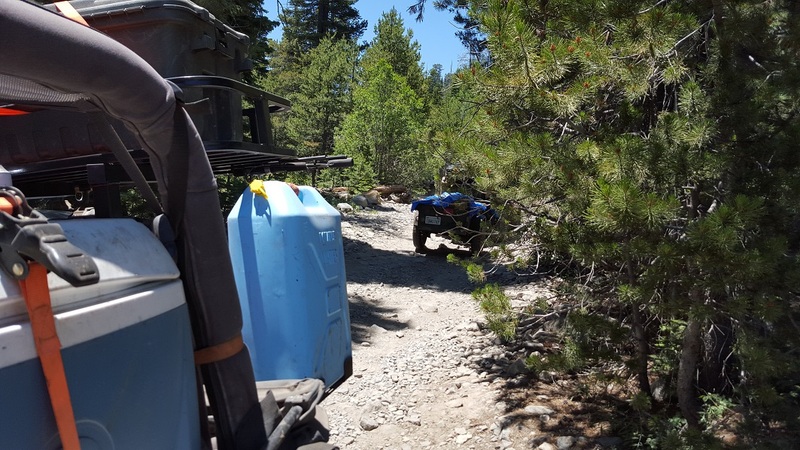 Try not to get off the trail because you can get into trouble quickly if you stray from the trail. 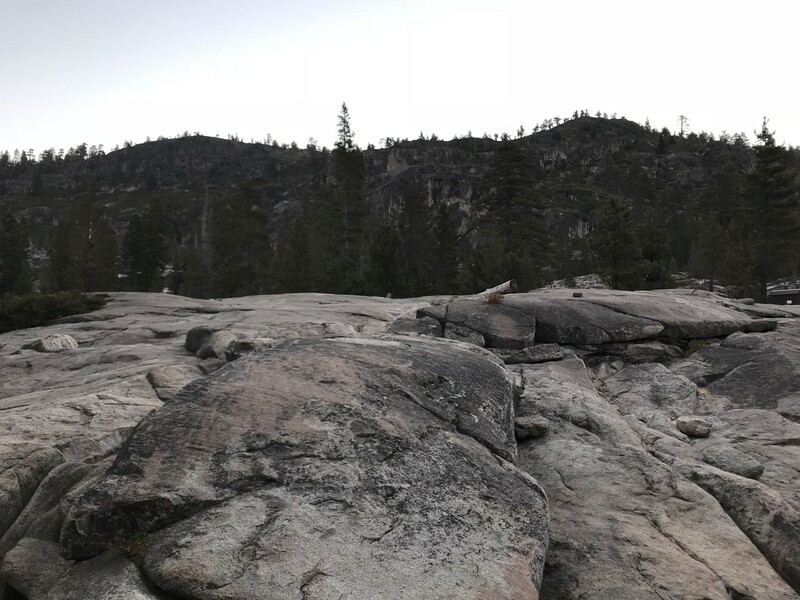 Referred to as "The Steps", this section of the trail has several names including Granite Bowl Climb, Granite Steps, among others. 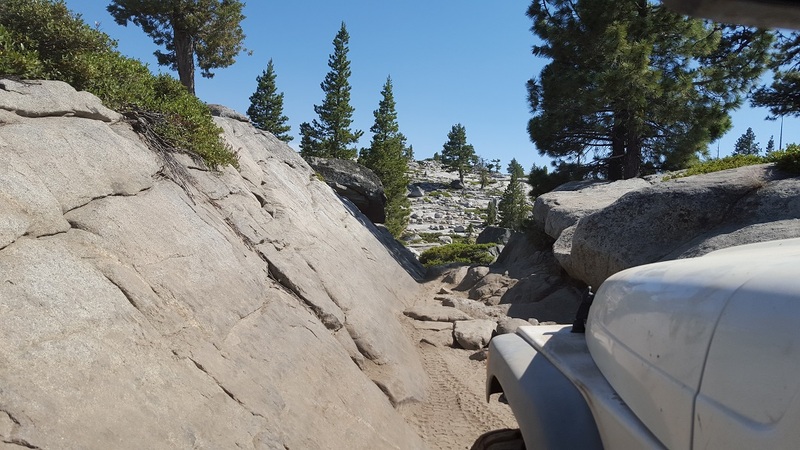 This area got its name due to a group of ledges you have to drive up. Short and long wheelbase vehicles are all known to have problems here. It is recommended not to try and throttle up the section since there is a high risk of breaking or rolling over. There is a bypass on the left side. Just be careful when navigating up it so you don't roll. 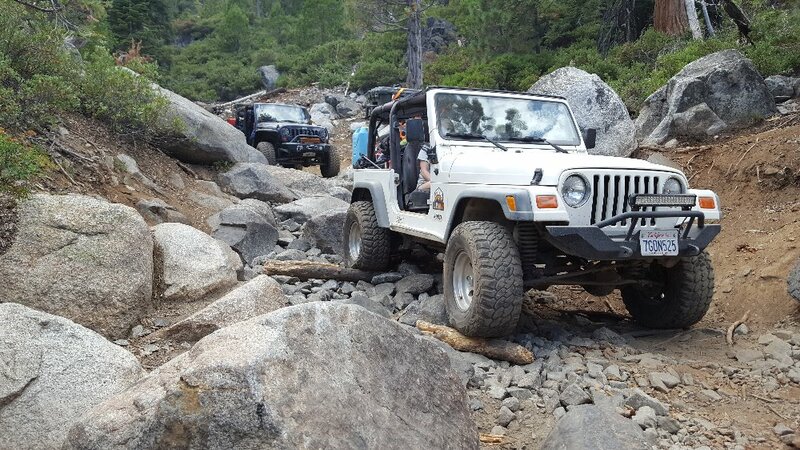 The Rubicon Trail has many side trails that connect to it. Many of them take you to private land or other destinations, but Wentworth Springs takes you down to a campsite near Gerle Creek. 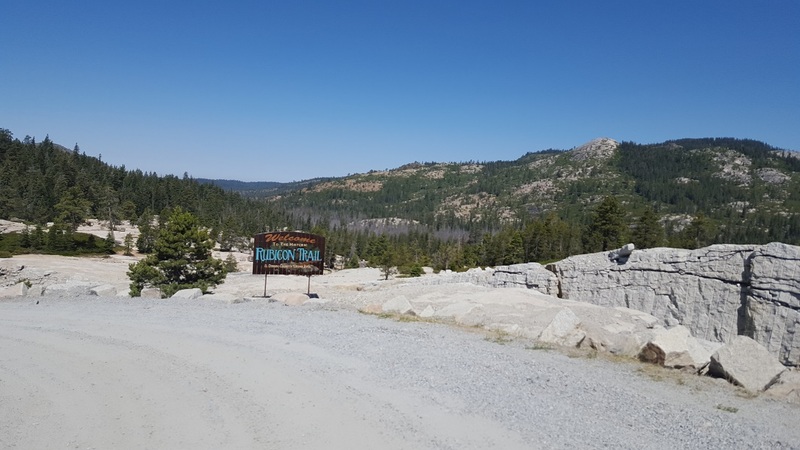 This short drive of roughly one and a half miles will take you west of The Rubicon Trail down to a relaxing and remote campsite. 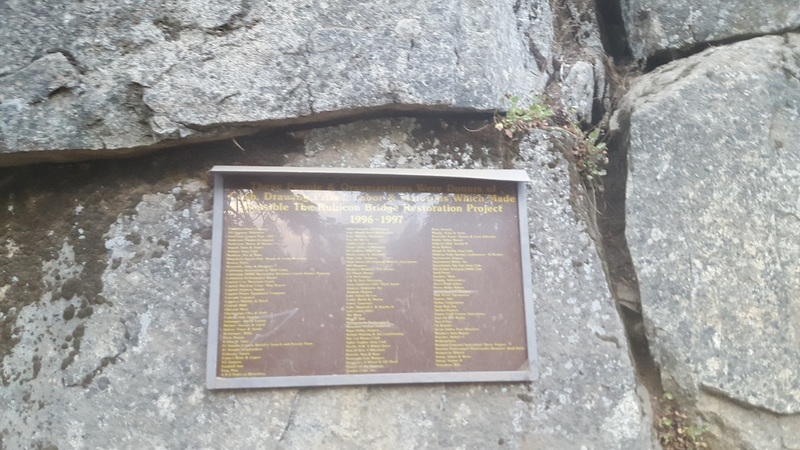 Along the route, there are several named obstacles including The Lost Sluice, The Post Pile, The Lost Pile, 1st Blood, and The Slabs. 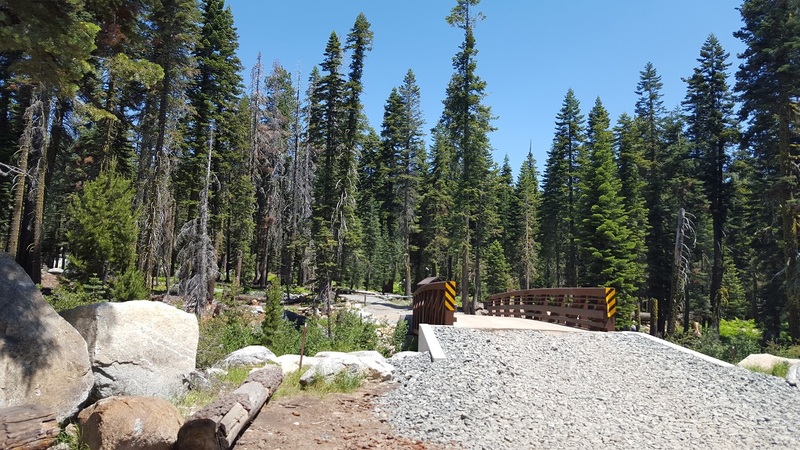 On October 9, 2013, the Ellis Creek Bridge officially opened as part of the commitment by El Dorado County to comply with the Clean Up and Abatement order set forth by the California Water Board, helping to keep the trail open for years to come. 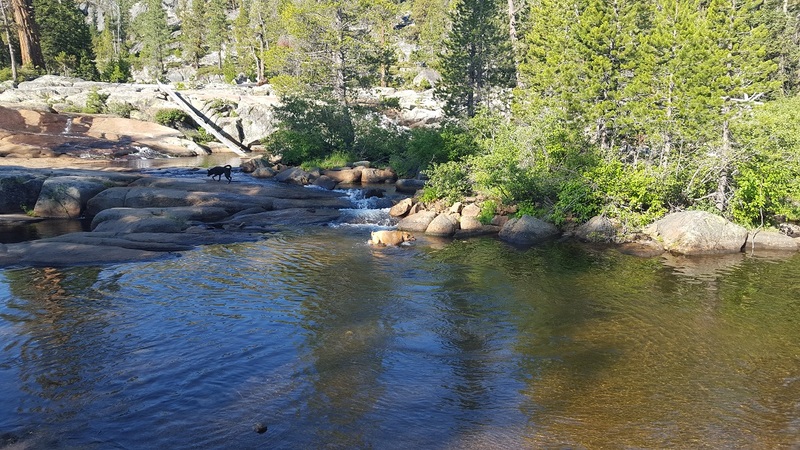 This is a popular camping spot because of the creek and restrooms nearby. 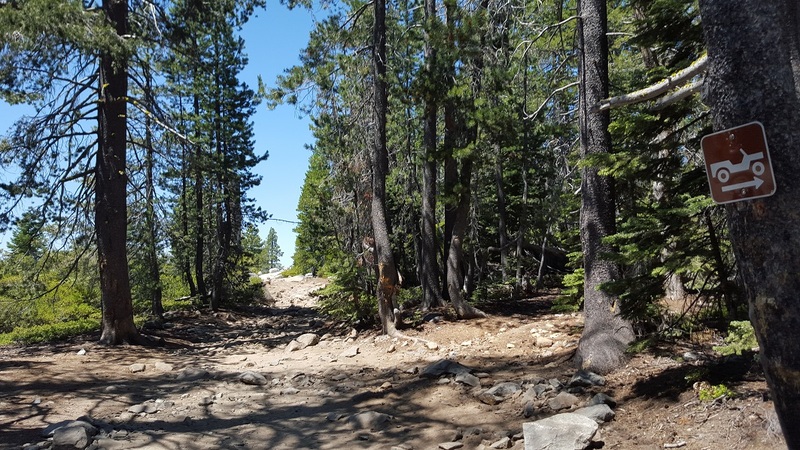 Known to most as a Rocky Hill Climb, Walker Hill has gotten easier over the years. But there is still some remnant of the days past on the left side of the hill about 3/4 of the way up. 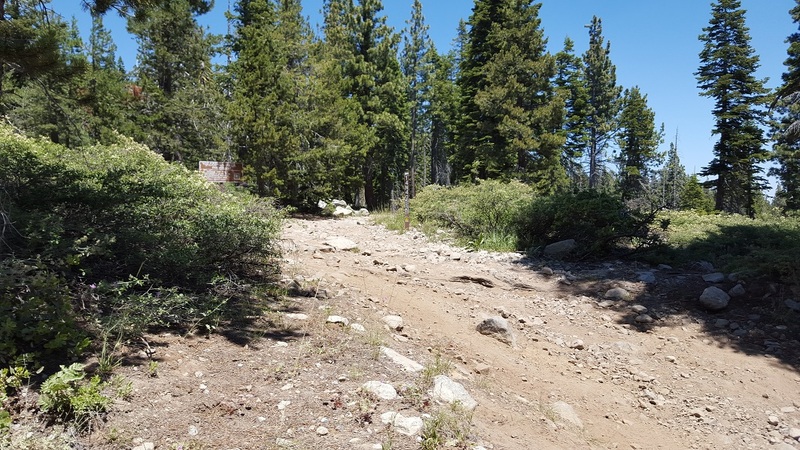 The lower 3/4 of the hill climb is made up of loose rocks up to approximately 3 feet in size. The top quarter has two lines. 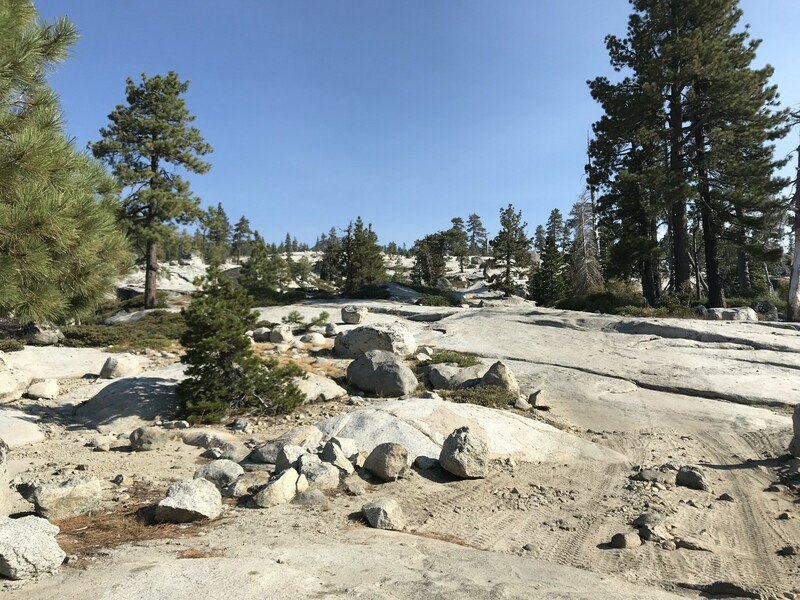 The left line (hard line) is comprised of 4 foot + large, free-standing rocks while the right line (easier line) is a steep climb over 45 degrees up a granite slab. 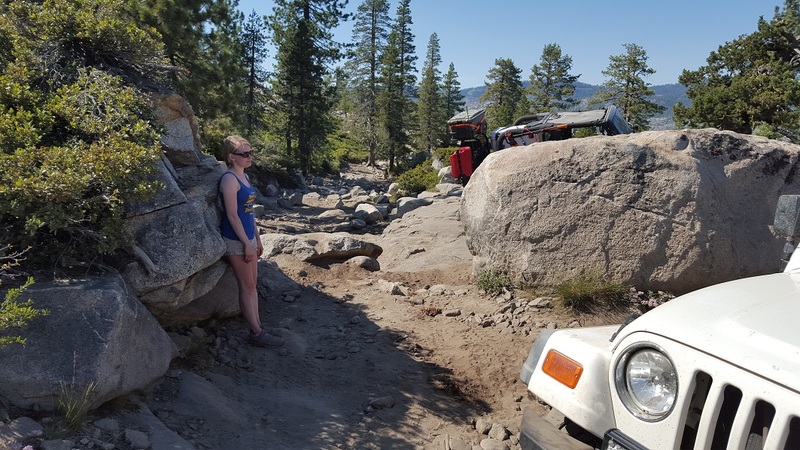 Maybe one of the hardest obstacles on the Rubicon Trail, Soup Bowl will draw crowds all day long. 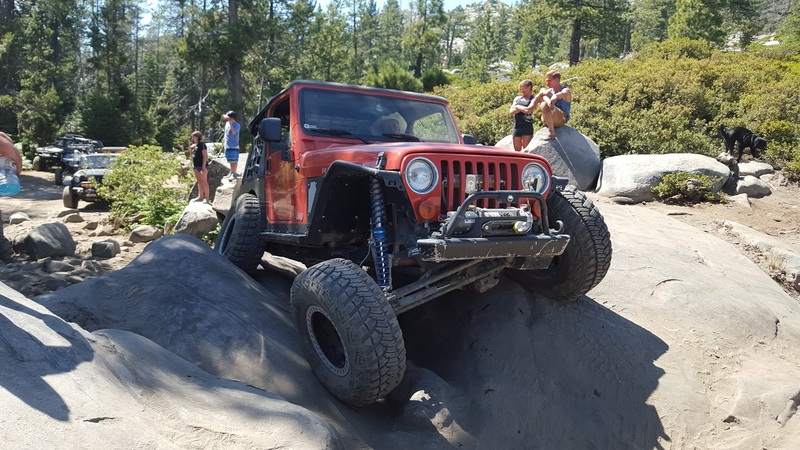 The trick is to be on tires larger than 44 inches, but this doesn't mean people on smaller tires can't make it. The obstacle itself is comprised of 2 sets of ledges over 5 feet tall that are rounded on the top. The issue is that it's at an angle, making it very easy to rollover. On top of that, there is a large hole with an inverted ledge that your passenger tires have to climb through. All this combined makes for great entertainment for the bystanders and bragging rights for the drivers. There is a restroom at this stop. The Little Sluice has several bypasses. This bypass is most notable because it is the easiest. Many call this the long bypass or long route. The bypass itself is left of the restrooms and climbs the large rock surface while The Little Sluice is to the right. There is also a bypass to the right of The Little Sluice, but it requires some mild wheeling to get to it. There are restrooms at this location. 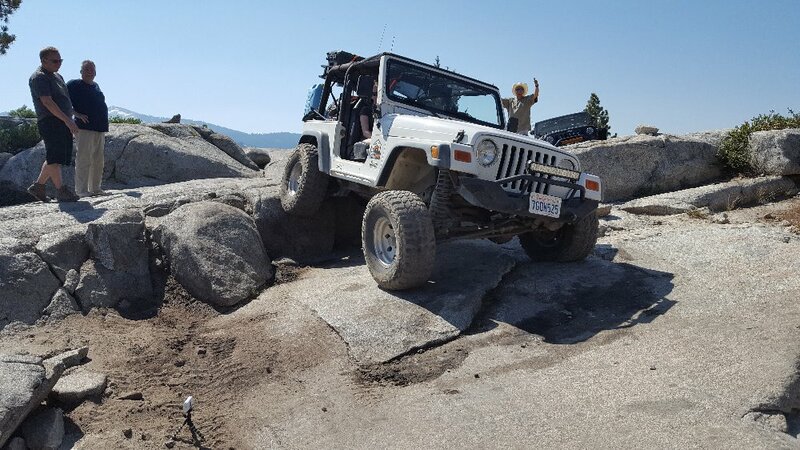 Probably the call sign obstacle of The Rubicon Trail, The Little Sluice provides hours of entertainment. 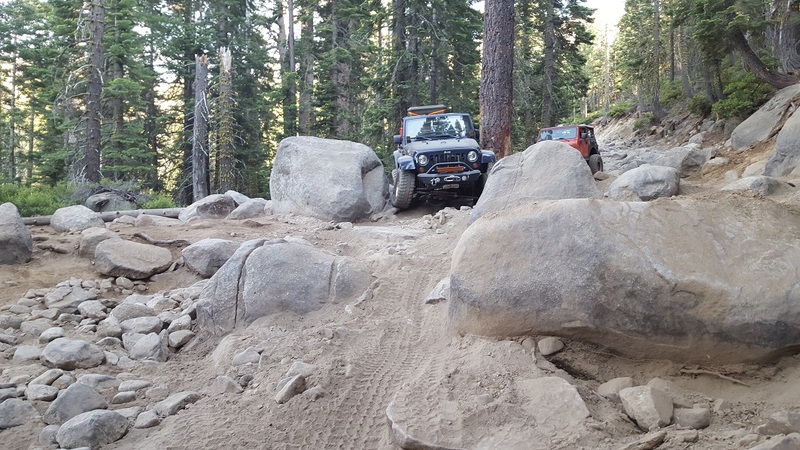 Originally full of large rocks, the USGS decided to break up many of the rocks to make this obstacle passable. Today, even though this location has been dynamited, this little area still gives many people trouble. The reason for this is that the sluice is full of loose rocks while some rocks are over 6 feet around. Plus, this is all crushed into a narrow channel of roughly 500 feet. 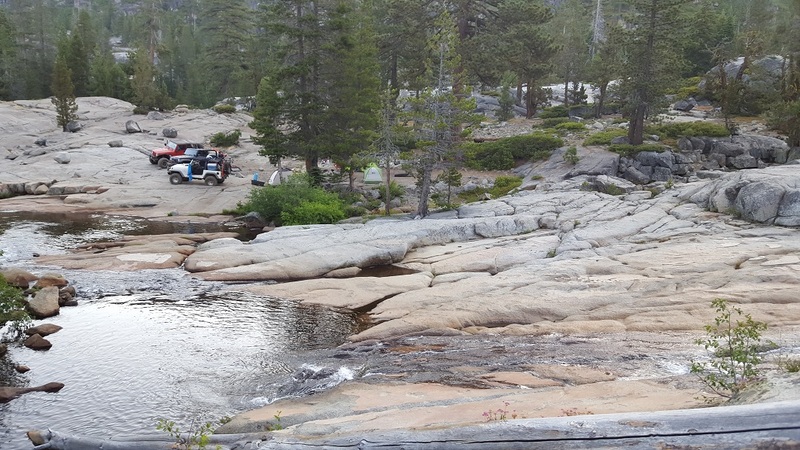 Many people camp on the right of The Little Sluice by Spider Lake. 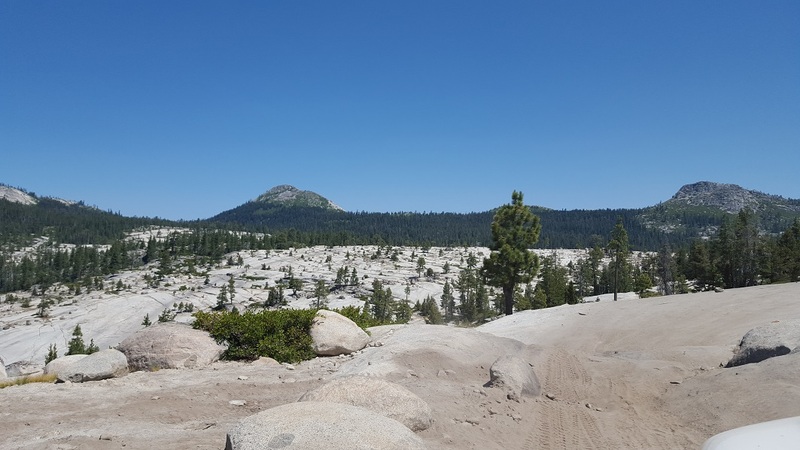 This large granite area is a popular spot since it is some of the only open space on the trail after The Granite Bowl. 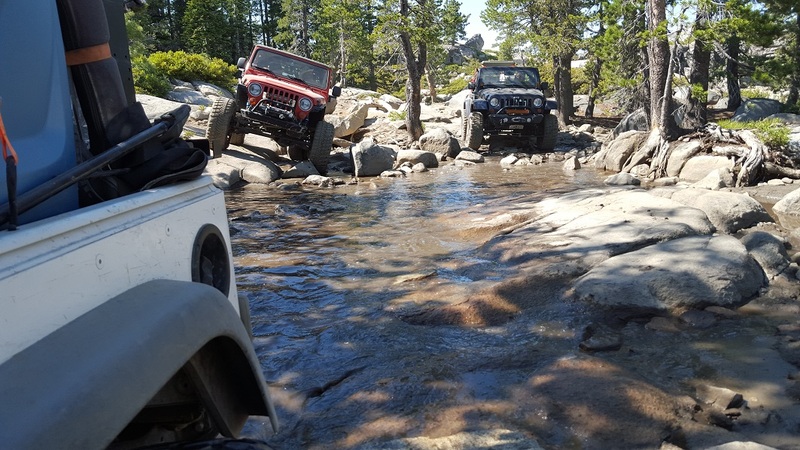 The first of many water crossings, this section of the trail has you driving through the side of a lake. The water can easily get over 3 feet deep so proceed slowly. There is a side route on the left that passes through shallower water. One of the more recognizable but less talked about obstacles is the V-Notch. Approximately 4 feet wide in spots, this tight area requires you to drive up on the walls to pass through. Because of that, this area makes for great photos and videos. Leaving the V-Notch and heading towards the True Old Sluice, you will be faced with a difficult climb. 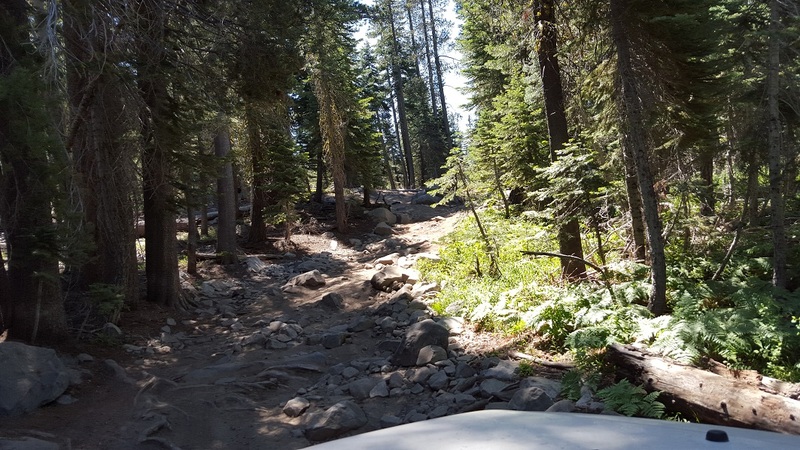 The trail is full of large 5+ foot rocks and narrow sections that require dragging your sliders over. Also, along the route are several ledges that you have to climb in order to make it to the top. Many think this is The Old Sluice, but it is just past this section on the right. Just off to the right of the trail is The True Old Sluice. 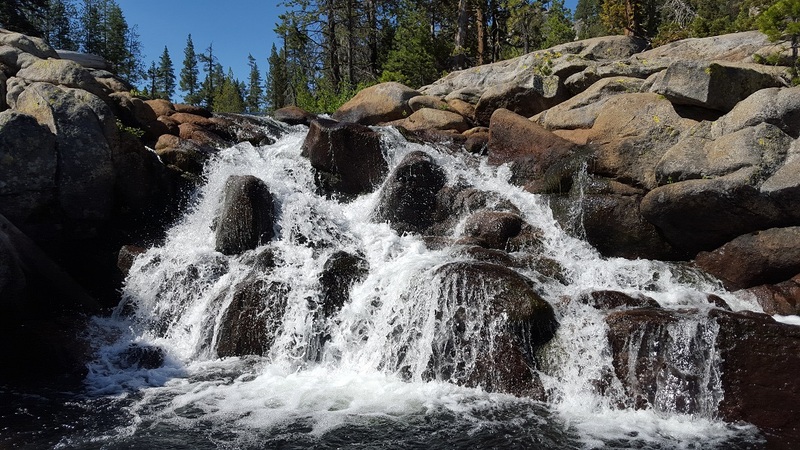 Many call this the most difficult sluice of the trail. 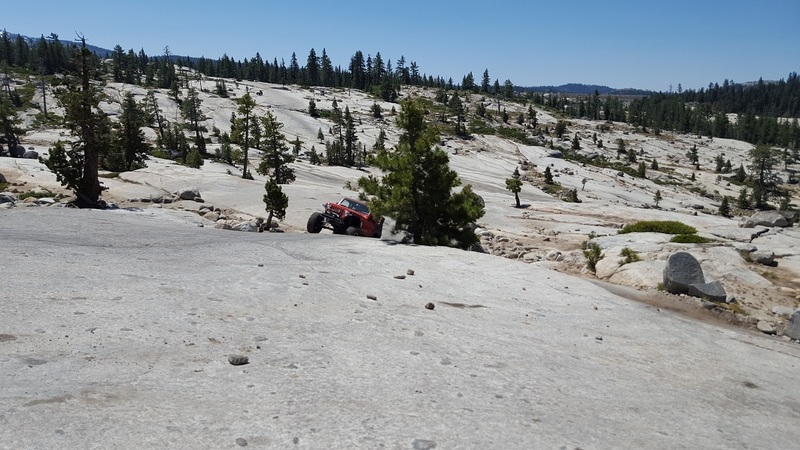 Comprised of large rocks, this section will give you a challenge. Just prior to the turn off is a restroom. 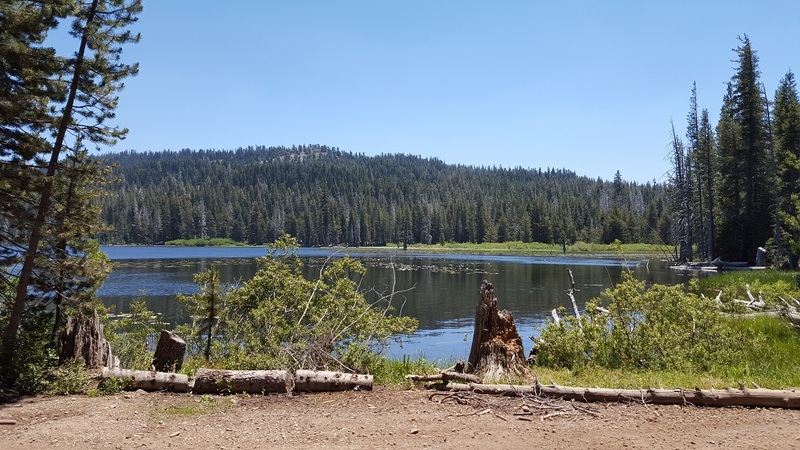 One of the more popular camping spots, Buck Island Lake is a party scene at times. 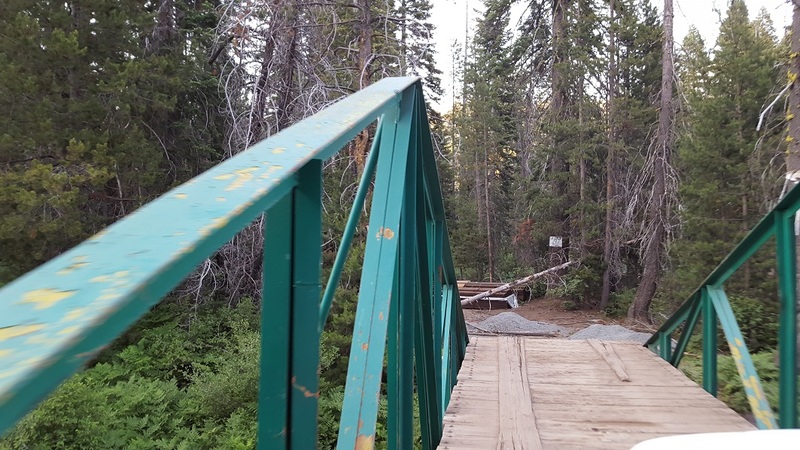 The reason for this is that it has some great obstacles people can play on, restrooms, a lake to fish and swim in, and, in general, an awesome view. 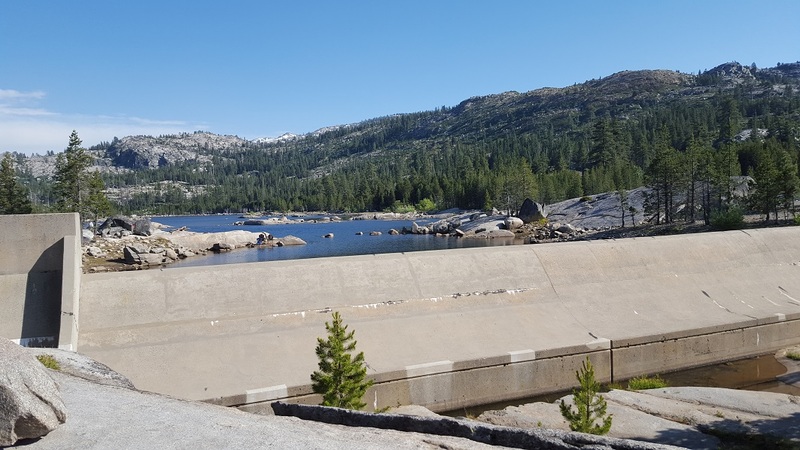 When following the trail, the path takes you over the edge of the dam. It is hard to see so get out and check your line before blindly going over. At one time, The Big Sluice was something to be feared. Then it got easy, and this year it returned to hard status. 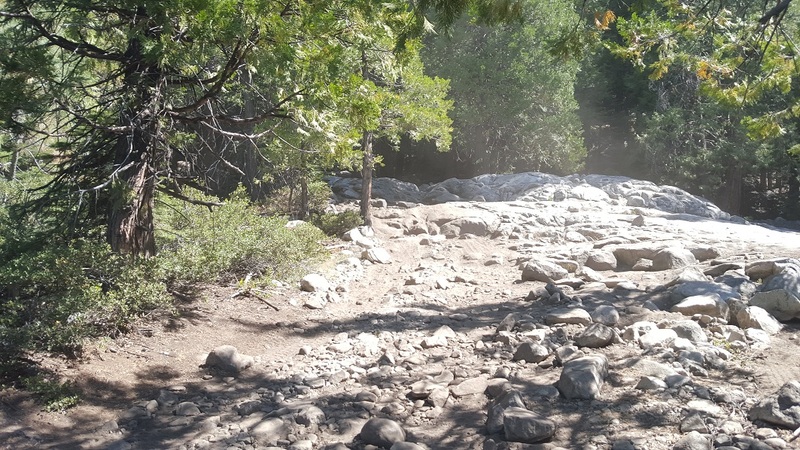 The trail took on excessive erosion over the winter of 2015-2016, and many of the obstacles have made their way back and are harder than ever. 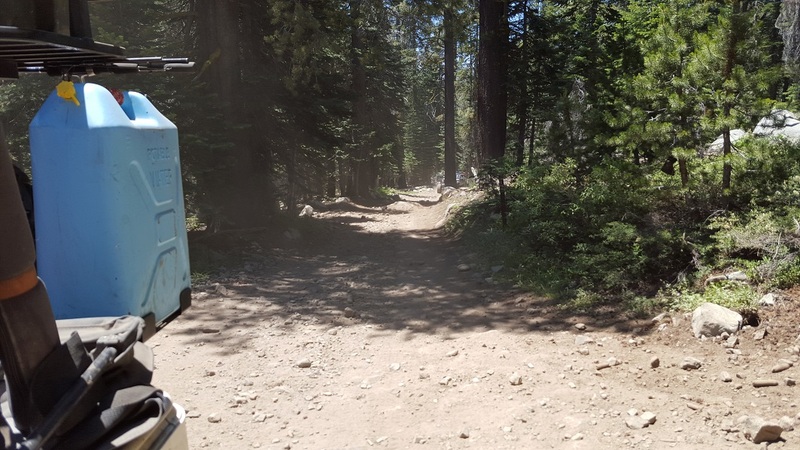 Along the route, there is a very difficult sharp turn with a v-notch you have to ride with a drop at the end over 4 feet. 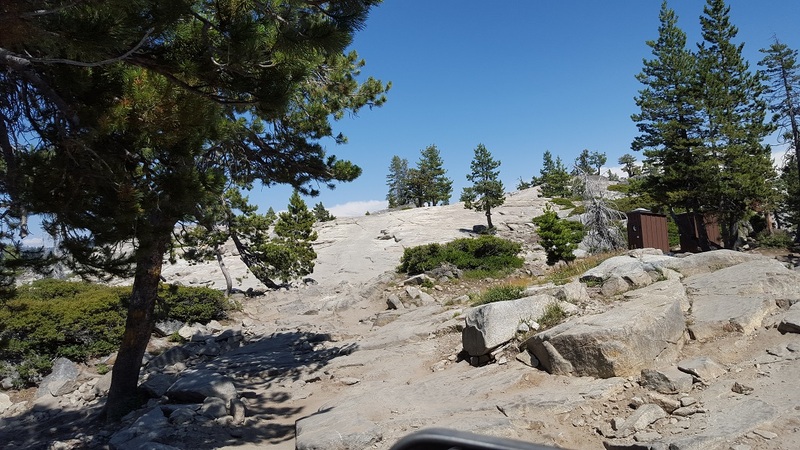 On top of that, there are several obstacles in it, including The Squeeze, a tight squeeze between trees and rocks, and then a new section at the end that is full of freestanding rocks and holes over 6 feet tall/deep. Needless to say, you will be using your sliders and armor a lot through this area. One of the more recognizable obstacles on the trail, this tree plus rock squeeze is known to take paint off. 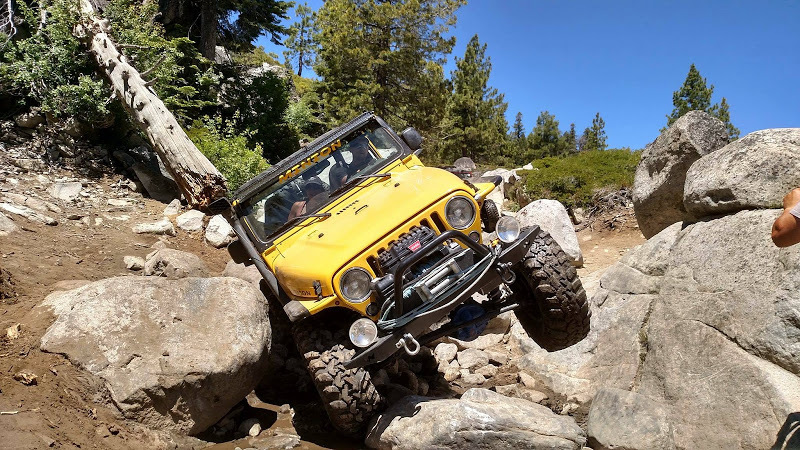 The only thing that can help here is tires sticking out past your fender flares. 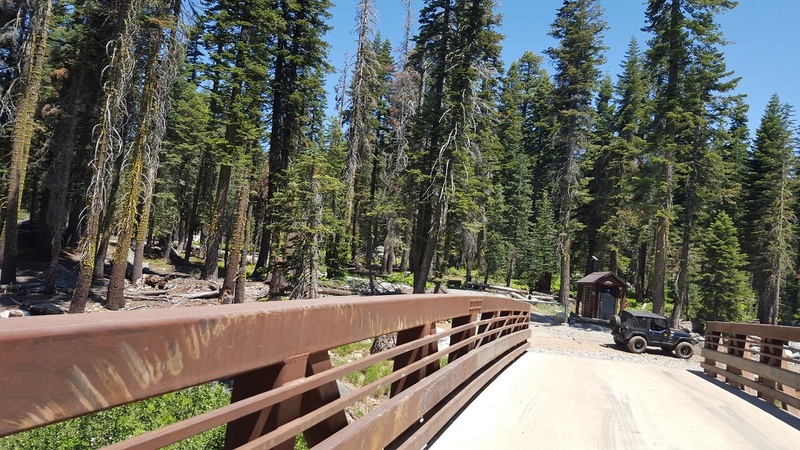 The second bridge on the route, Rubicon Springs Bridge, is the oldest on the trail by far. The history of the bridge is: 1859 - The first bridge to cross the river at this site was built of logs. 1939 - El Dorado County replaced the bridge. 1947 - A steel bridge was constructed by the county . 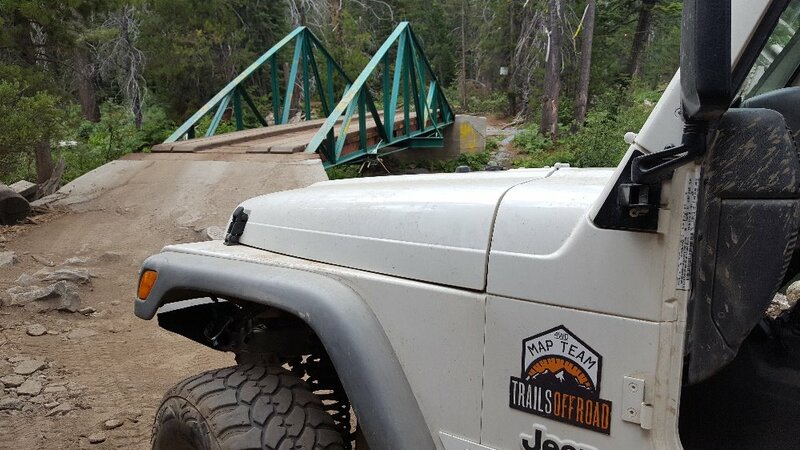 1982 - Bridge was refurbished through the efforts of several volunteers and four-wheel drive clubs. 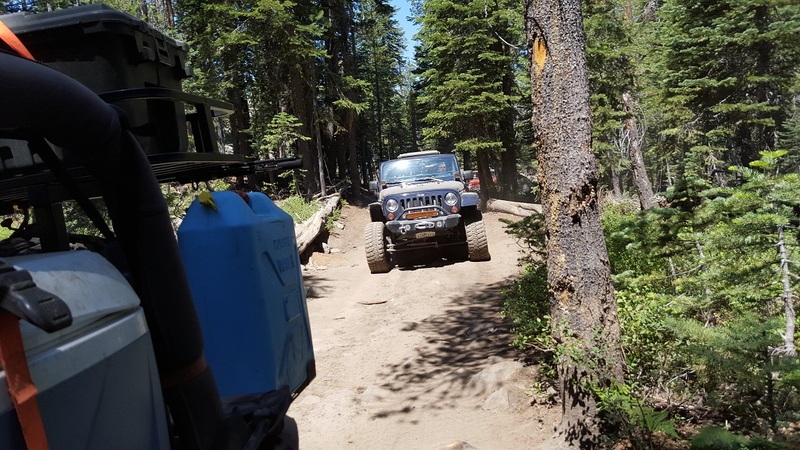 1997 - Bridge was refurbished through the efforts of CA4WDC and several other four-wheel drive clubs and individuals. 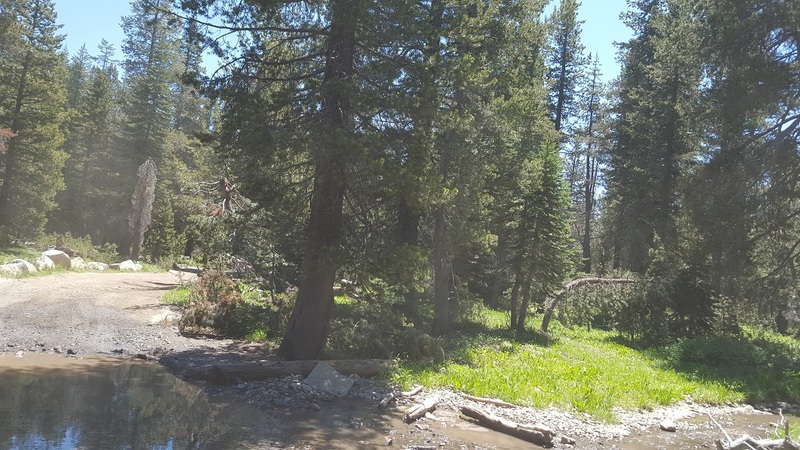 On the north end of Rubicon Springs is a camping area with some amazing waterfalls and swimming holes. 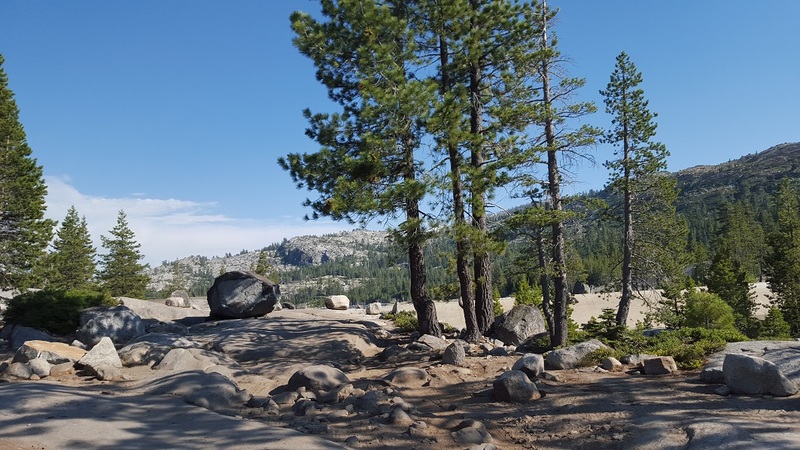 Known as the VIP area, this section of the campground is known for its amazing views and swimming. 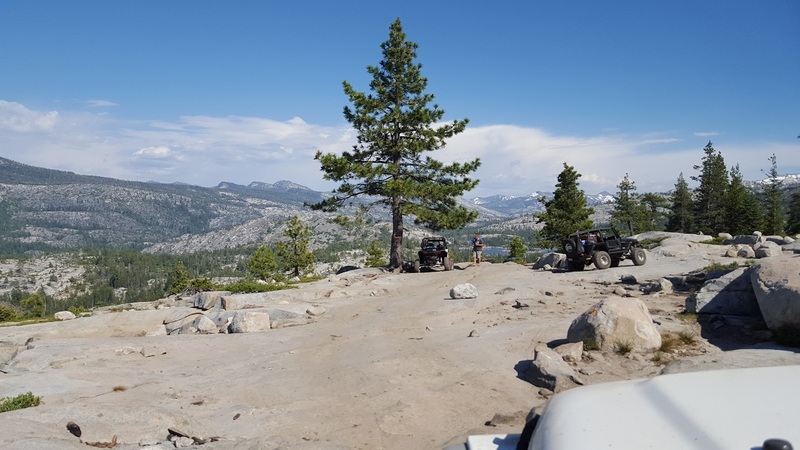 The last named obstacle on the Rubicon Trail, Cadillac Hill is feared by the locals because it poses the greatest risk for extreme rollovers and has been known to claim lives. 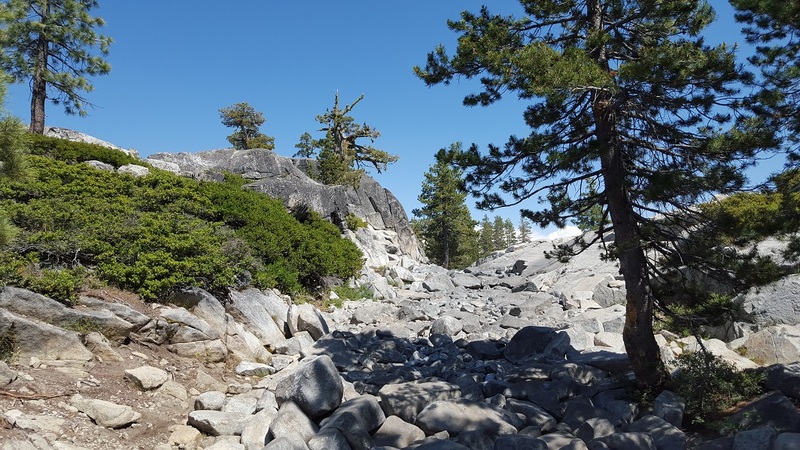 As you climb the cliffs away from the Rubicon River, you will be faced with flowing springs, slippery rocks, slick mud, 50+ degree inclines, and a path that is only 7 feet wide in spots. Just off to the right of that 7-foot wide trail is a cliff from which there is no recovering. One of many awe-inspiring locations, this is a popular spot to relax and enjoy the views. 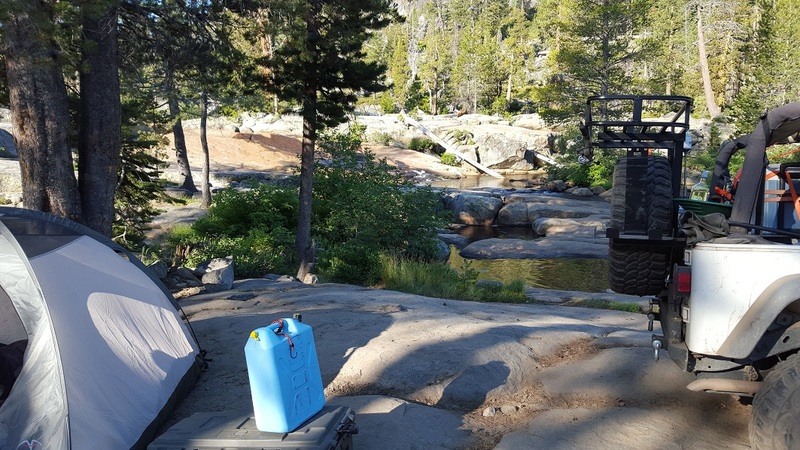 This is also a popular camping spot, but if you are sleep walker, you might want to rethink this. The reason for this is that you are up on top of a 2000+ foot sheer cliff. The views are amazing, but that first step could be a dusy. 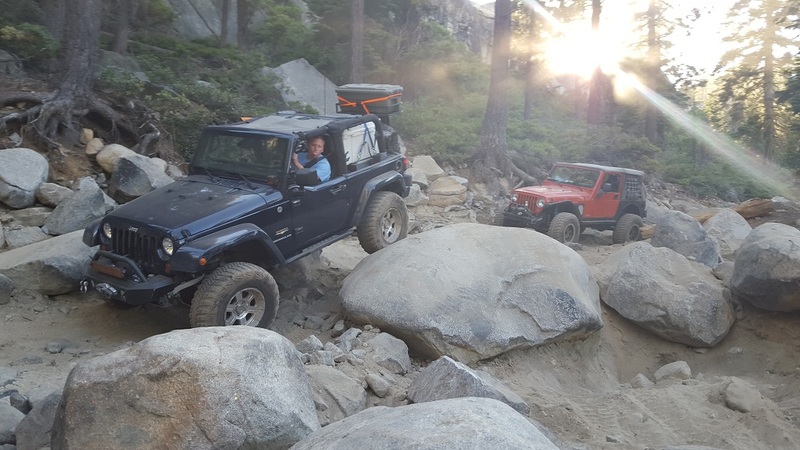 This is one of the many trails that intercepts with The Rubicon on the east portion. 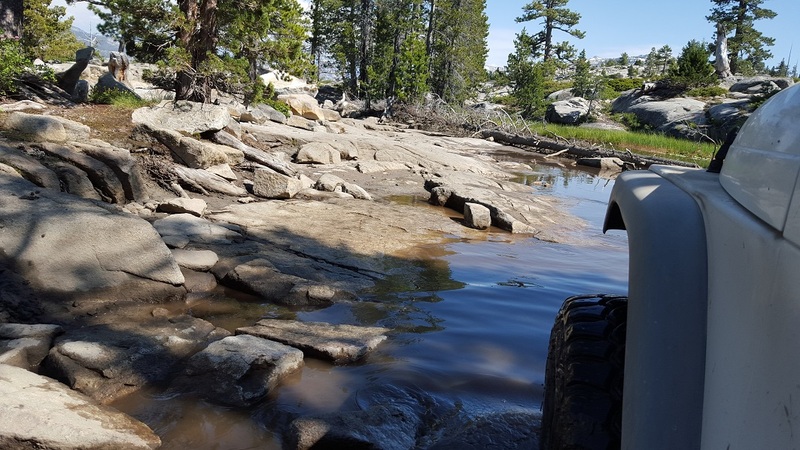 To continue on The Rubicon Trail, stay to the south. 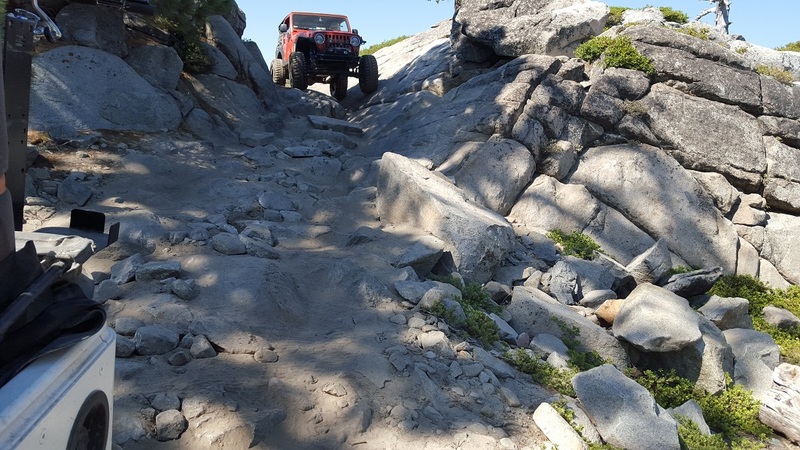 This is one of the many trails that intercepts with The Rubicon on the east portion. 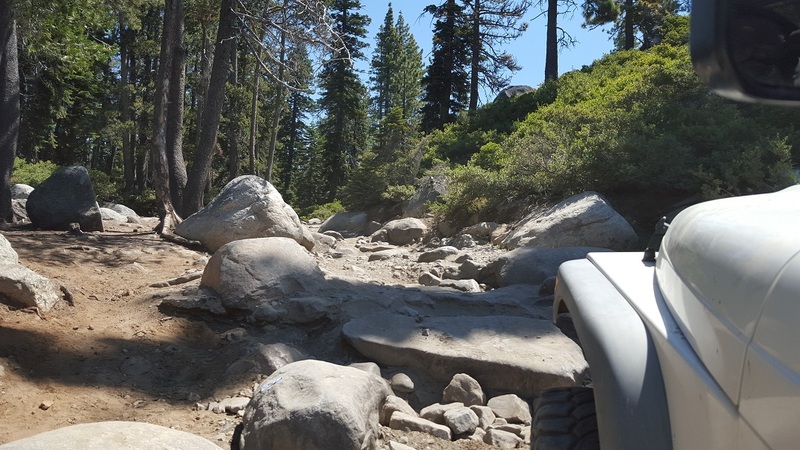 To continue on The Rubicon, stay to the east or south. 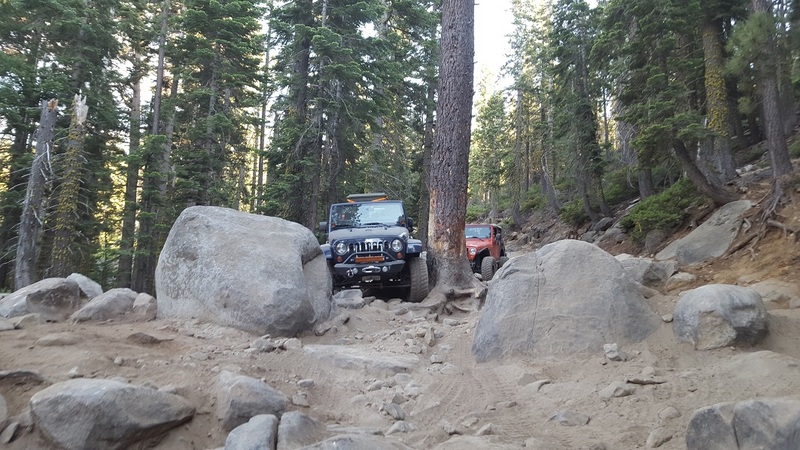 This is one of the many trails that intercepts with The Rubicon on the east portion. 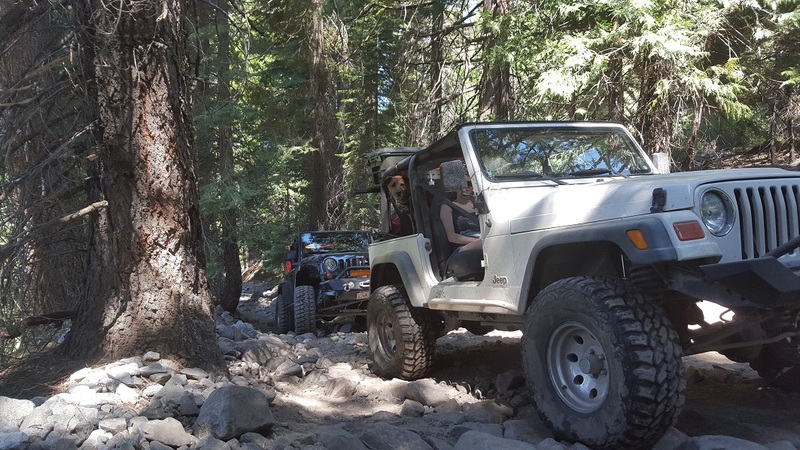 To continue on The Rubicon, stay to the south. 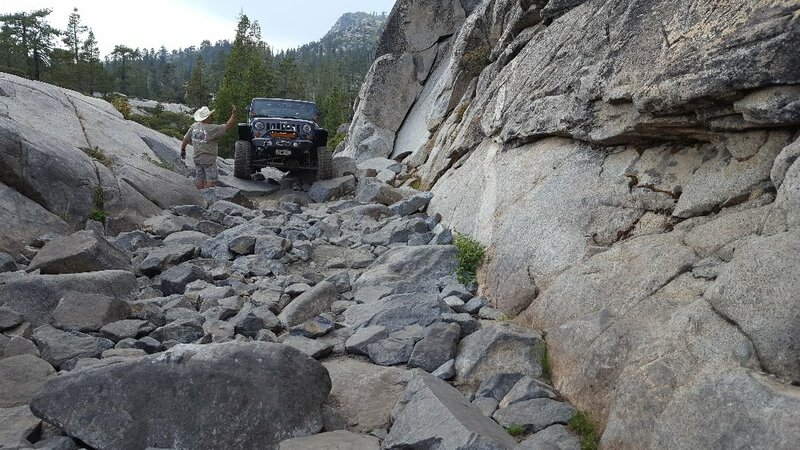 This is one of the many trails that intercepts with The Rubicon on the east portion. To continue on The Rubicon, stay to the north. 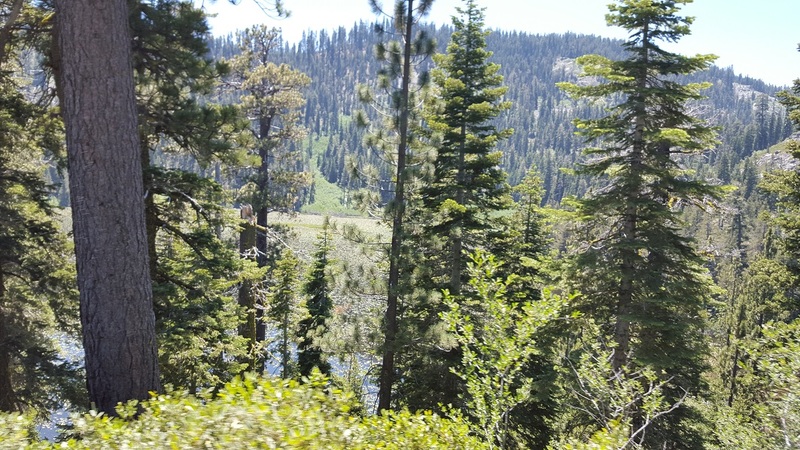 The east portion of the trail passes by many lakes. 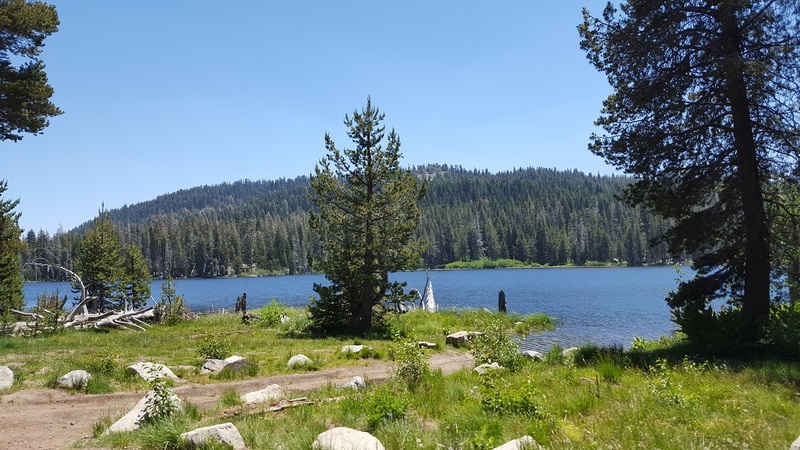 These lakes are popular gathering spots for people that come up from Lake Tahoe to hang out and fish. 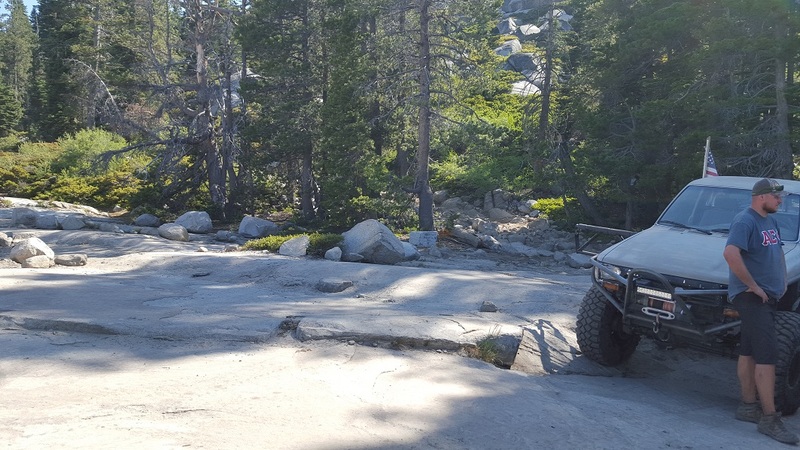 This is the East Trailhead of the famous Rubicon Trail. 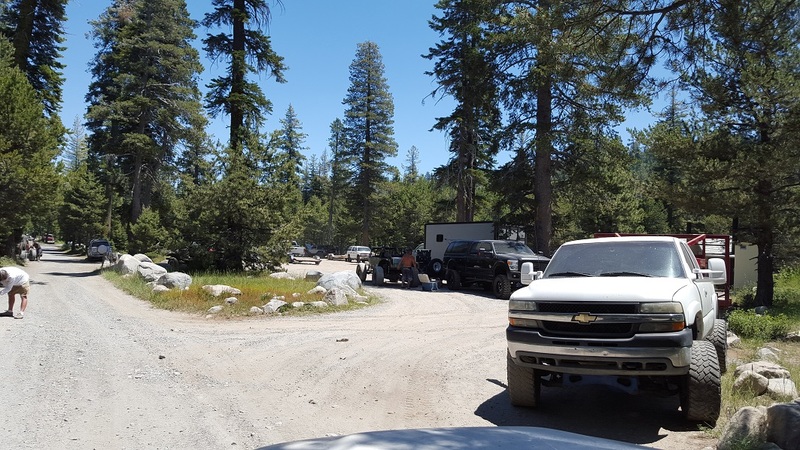 There is plenty of parking for trucks and trailers here along with restrooms. 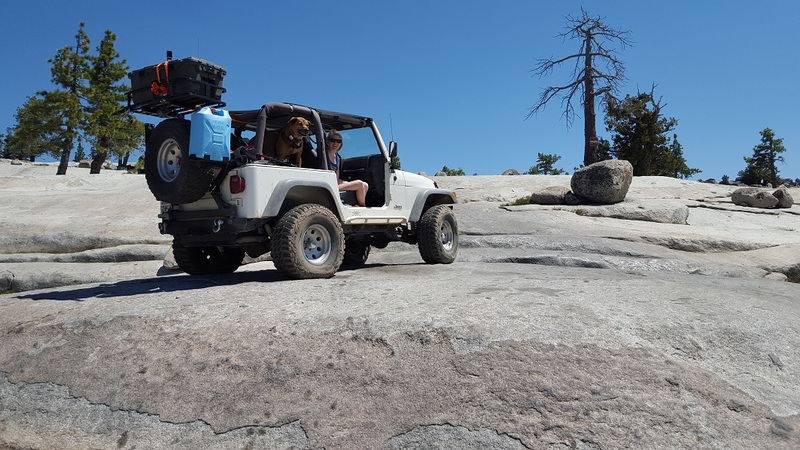 Camping on The Rubicon Trail is a great way to enjoy the area. 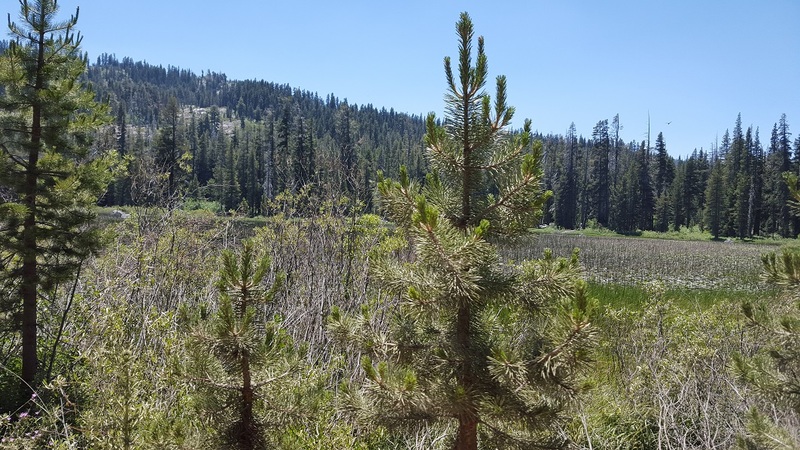 It is recommended for first-time users to plan to camp for two days at a minimum to get the full effect of the area. 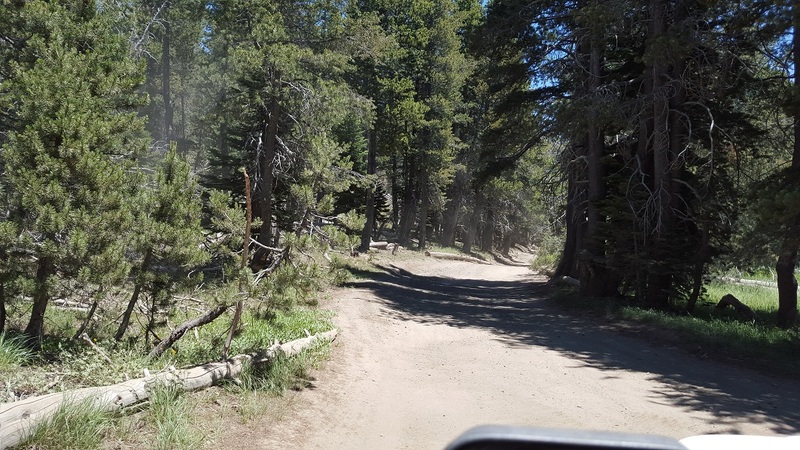 While in the National Forests, near the trail, and alongside the trail, dispersed camping is allowed in most areas. 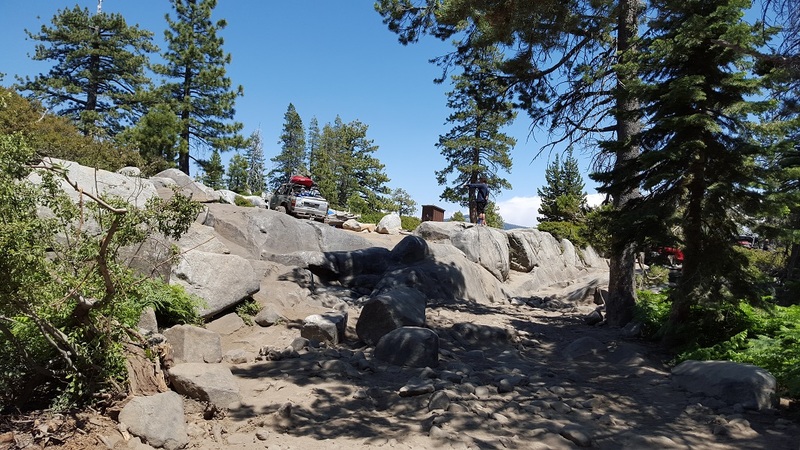 Just be warned, you are not allowed to drive off The Rubicon trail to camp and must keep your vehicles on the road. 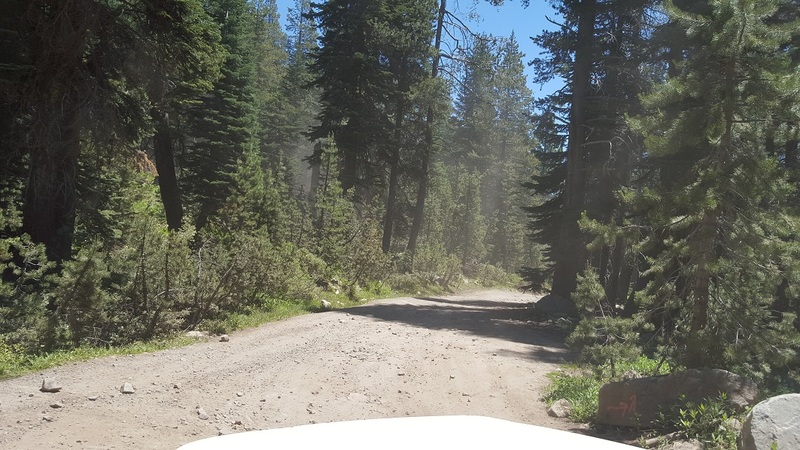 The ideal camping time in most forest areas is May to October, prior to winter storm activity. 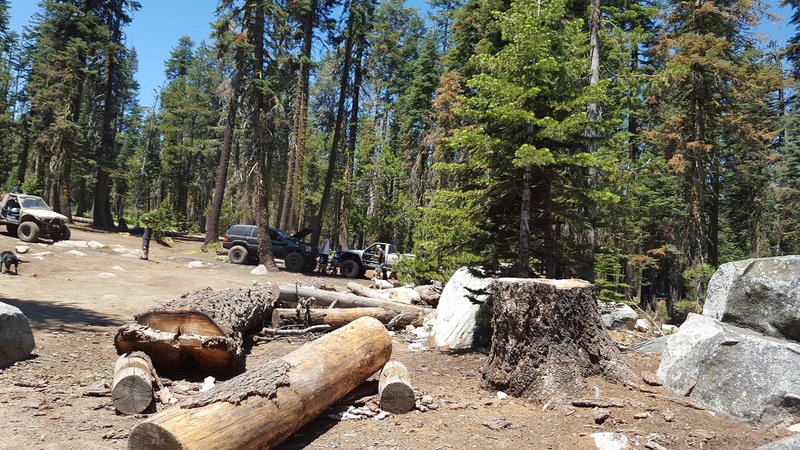 Reservation campgrounds are available; however, some forest campgrounds are operated on a first-come, first-served system. 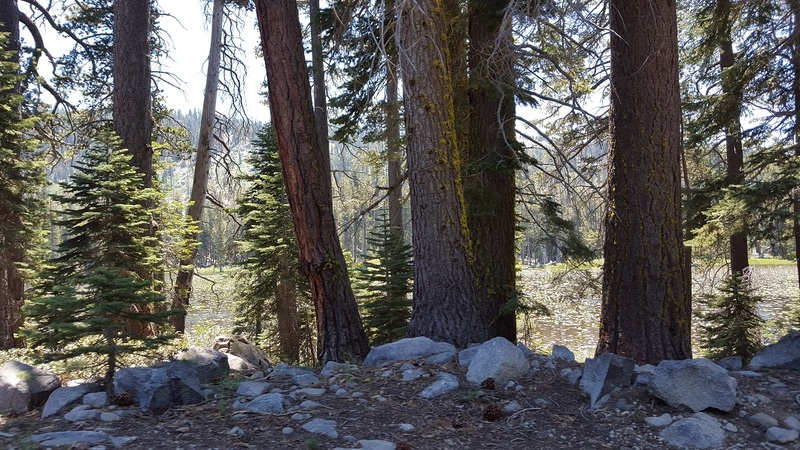 The maximum stay in most campgrounds is 14 days with a 21-day maximum stay per Ranger District per calendar year. 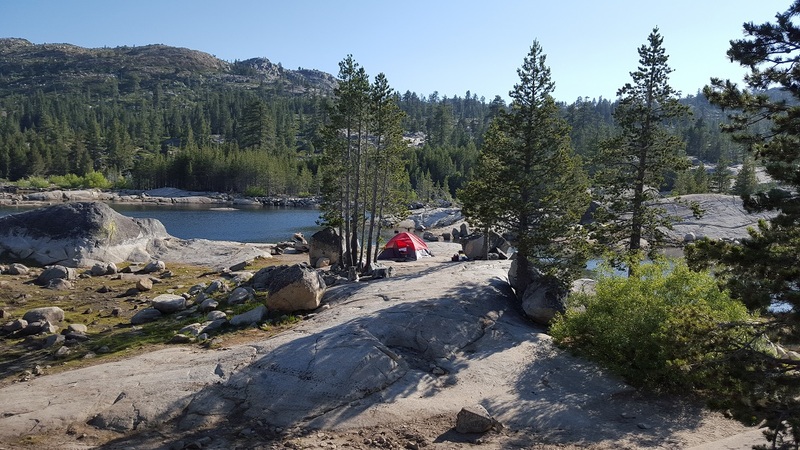 Most campgrounds fill quickly during holiday weekends; therefore, visitors should come prepared to camp in undeveloped areas. 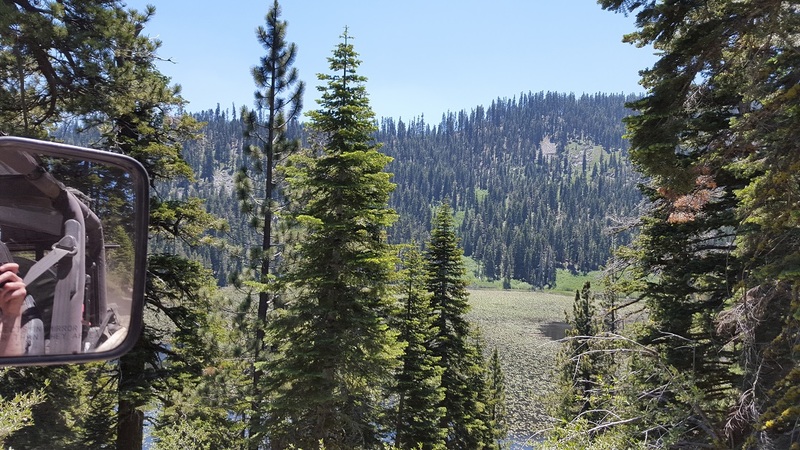 Below is a list of camping spots alongside the trail: -Loon Lake (Closed 2019) -Wentworth Springs -Ellis Creek -Walker Hill -Winter Camp (near The Little Sluice) -The Little Sluice slab area -Buck Island Lake -Rubicon Springs (Contact Rubicon Soda Springs for any fee information.) -Top of Cadillac Hill at The Observation Point area Below is a description of the camping areas: The first turn-off will take you down to Wentworth Springs. 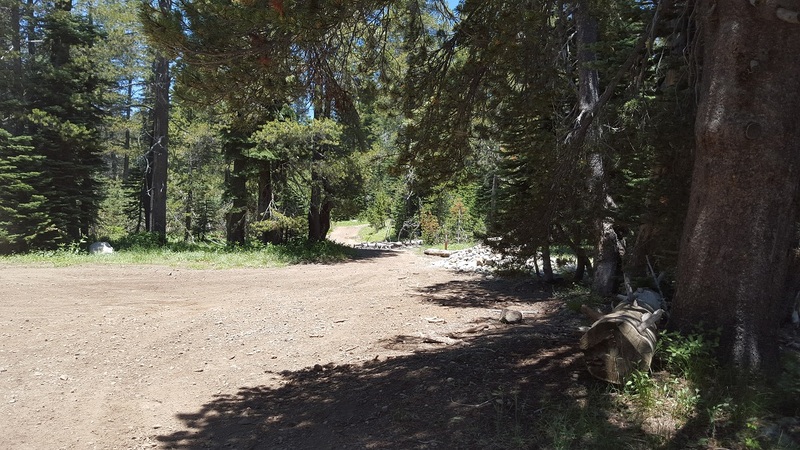 This secluded campground is a great place to visit when planning a 3-4 day trip. Because of the remote location, you can expect lots of R&R. The first stopping area along the trail, Ellis Creek is usually a common spot for people to stop and take a break while on the trail. 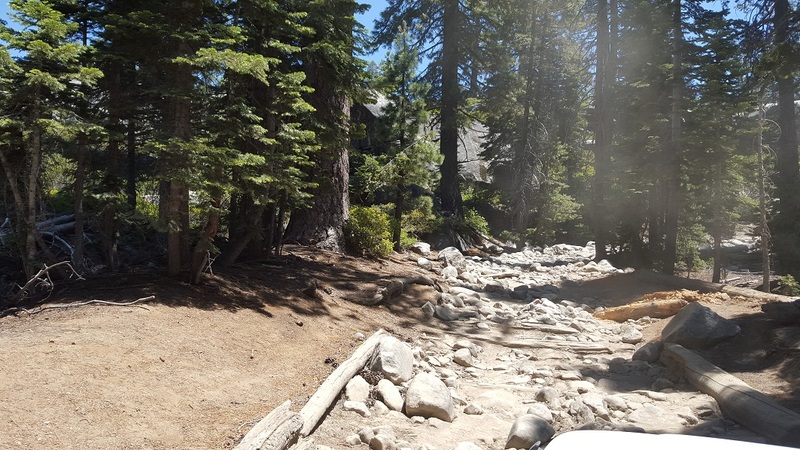 Along with a nice creek, this area also has a restroom. The creek is known to have trout and other similar fish. The next camping area is Walker Hill. This area isn't suitable for anything over a few vehicles. 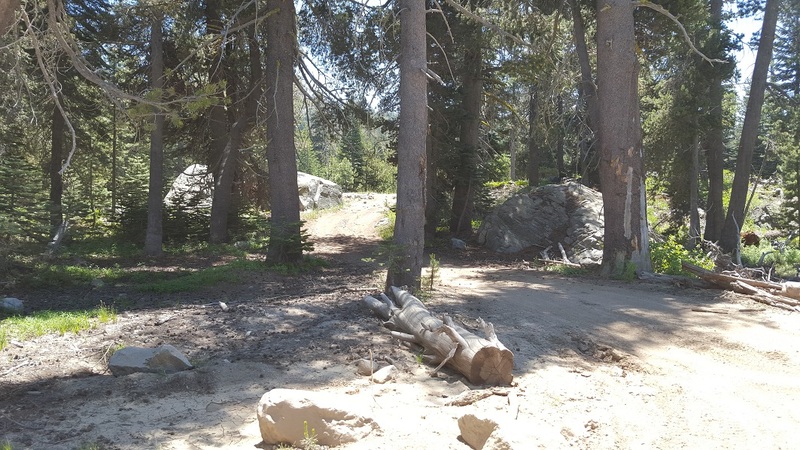 There is a small area off to the right of the trail where you can set up camp. There is also an outhouse. 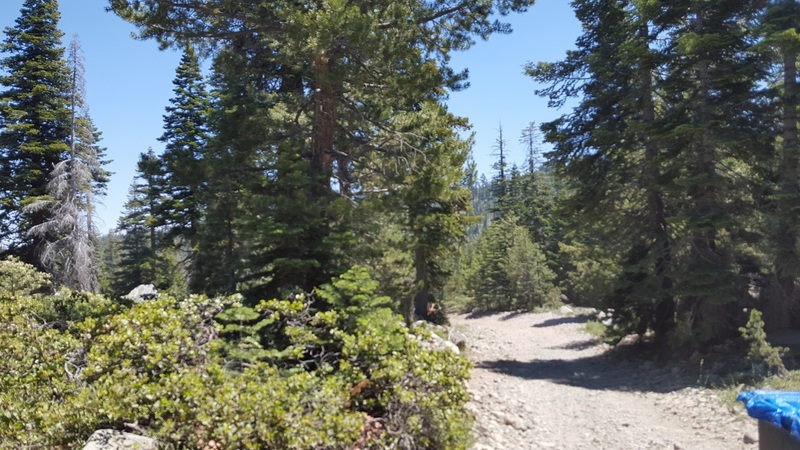 Along the trail, you will run into the Winter Camp (near The Little Sluice) area next. 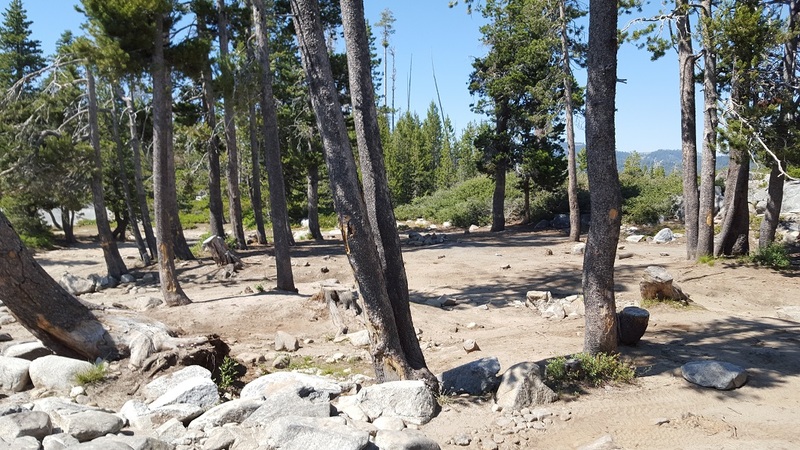 A much larger area, this is a common spot for people to take a break before heading down to Buck Island Lake. 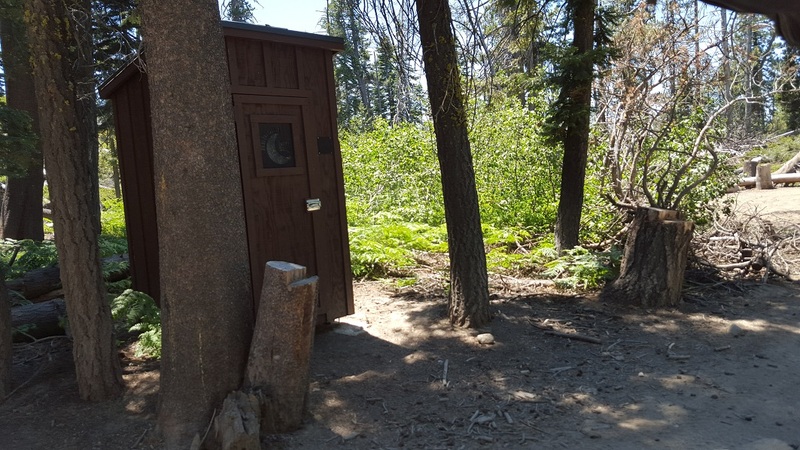 There is an outhouse here making it a nice stop. Just feet up the trail is The Little Sluice slab area. This a great spot to stop and camp. 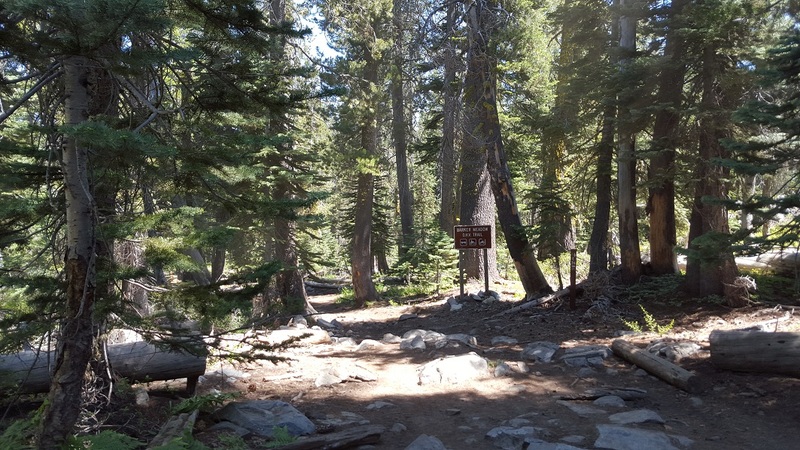 This is one of the few areas along the trail that is wide open which allows your group to spread out. The area can easily handle large groups. 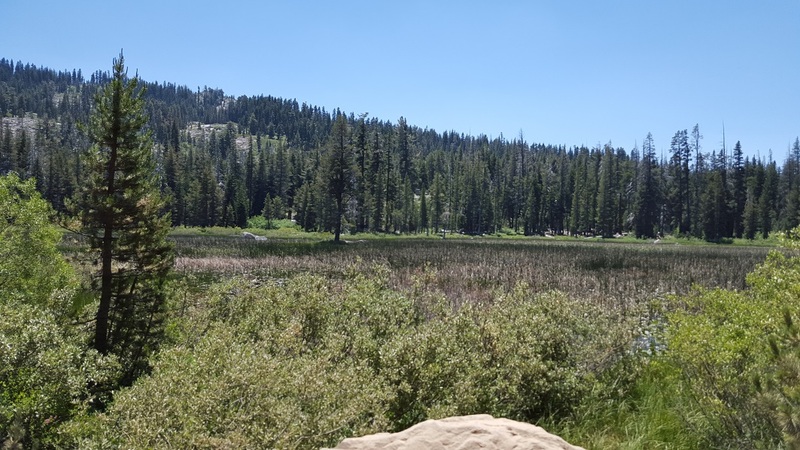 A short walk to the south is Spider Lake where you can rest while fishing. 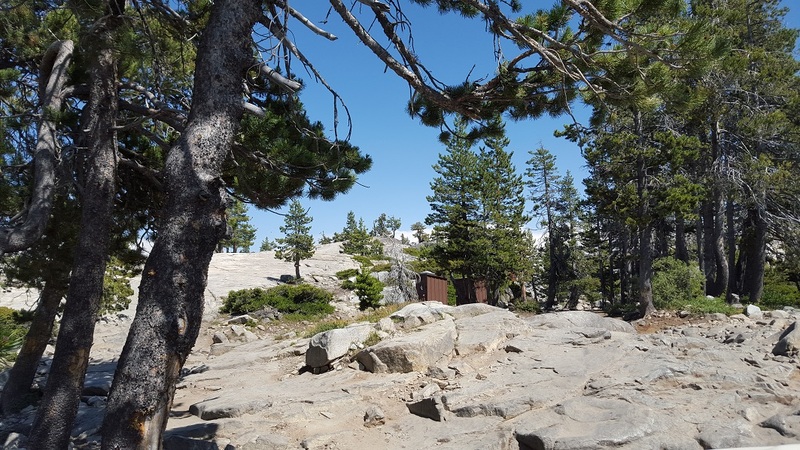 The outhouses at the Winter Camp are not far back down the trail, making this a great spot to relax for the night. 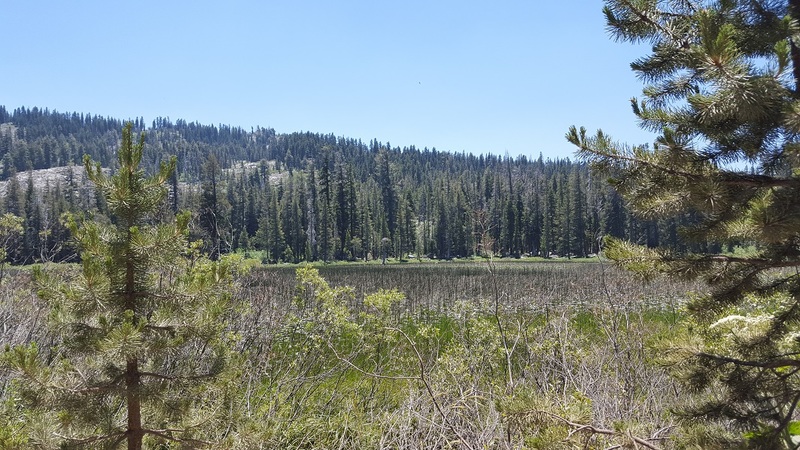 The next camping area along the trail is Buck Island Lake. 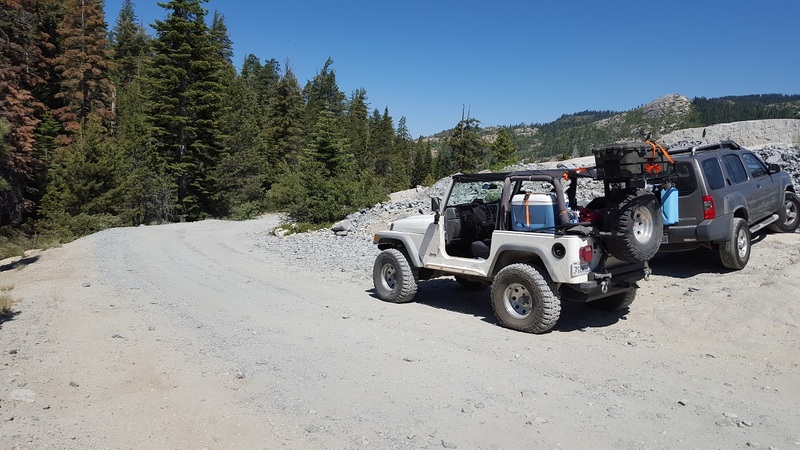 Usually a little more of a party scene, Buck Island Lake has it all - a majestic lake to swim in, fishing, plenty of open space, outhouses, and an ample amount of challenging wheeling inside the camping area. Many people when doing 2 or 3-day trips will spend one night here. The area is a first-come, first-served so make sure you get there early enough to get your spot. 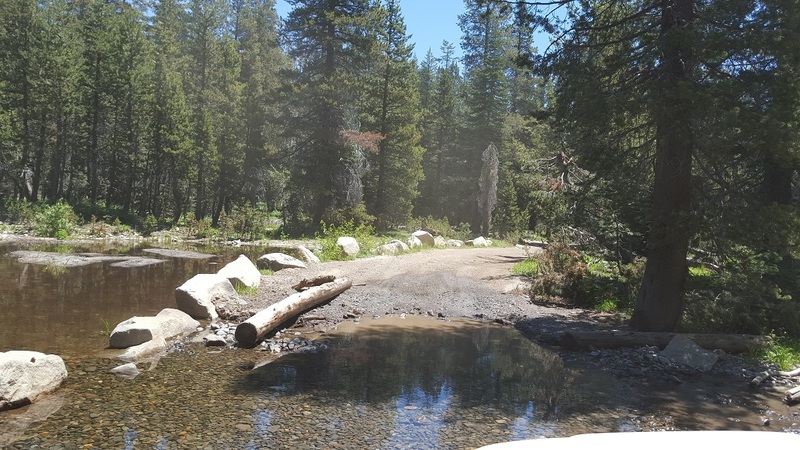 Probably the most famous of the campsites, Rubicon Springs is the next stop along the trail. 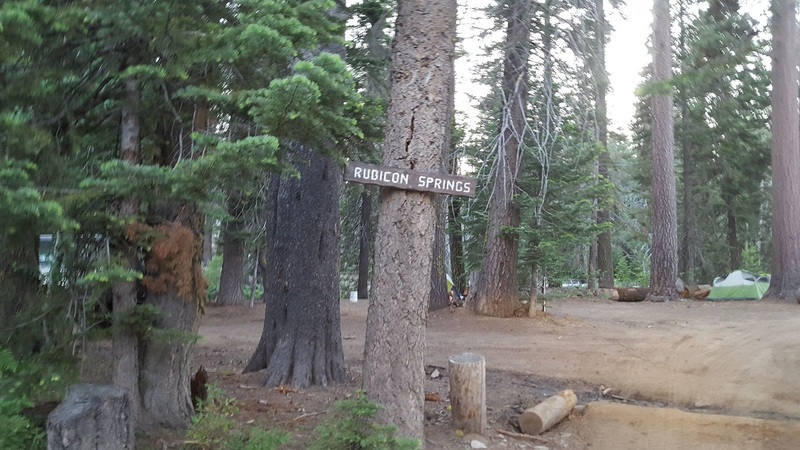 The good part of Rubicon Springs is that it is a paid campsite, which means it has more amenities any other area. 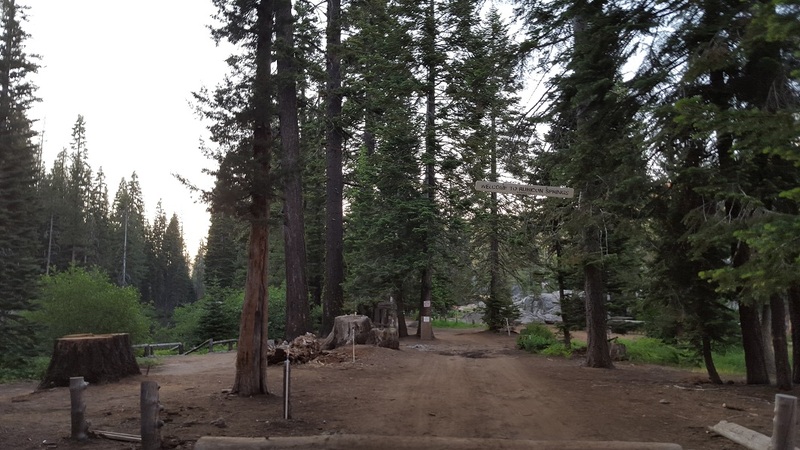 These include a picnic area, stage, bathrooms, swimming areas, tree swings, firewood, campfires, water, fishing, horseshoes and similar games, helicopter landing pad, among other great things. 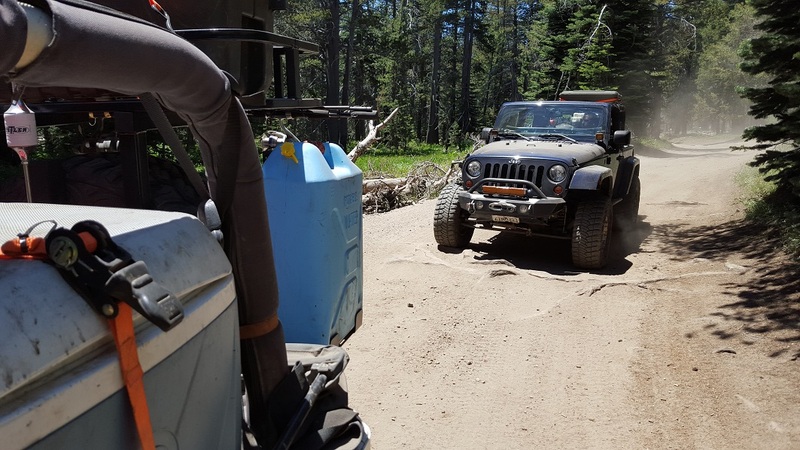 The reason this is allowed is because this is private land; therefore, make sure you contact Rubicon Soda Springs for any fee information prior to leaving on your trip. The last camping spot along the trail is at the top of Cadillac Hill at The Observation Point area. 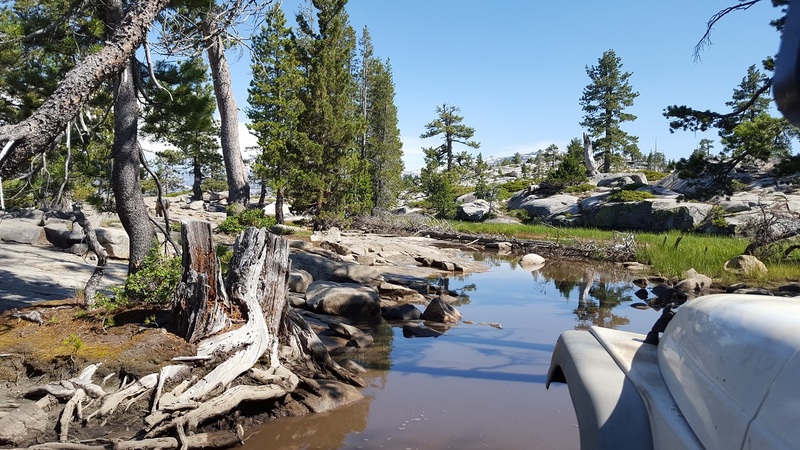 Probably the best long range viewing area on the trail, this is a popular spot to stop and relax. If you choose to stop here overnight, make sure you are not a sleepwalker and have a flashlight on you at all times because if you take a wrong step, it's about 1,000 feet before your next step. Went up to the trail area to go skiing but had to swing by. Wow, there is a lot of snow in the area still. Might be a late one before the trail is fully clear. Ran this trail last year with Josh and this year we entered thru Wentworth springs. The trail seemed a little harder in places and easier in others. 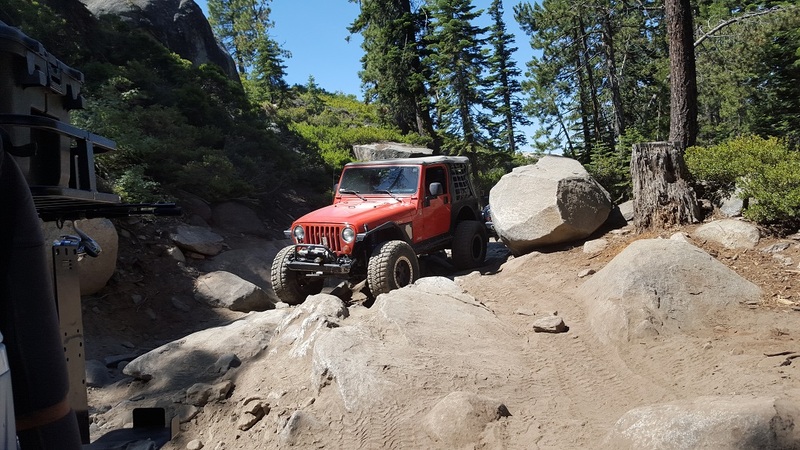 We only encountered a few vehicles with problems one they were beating the fenders up for tire clearance and another had broken his coil overs. 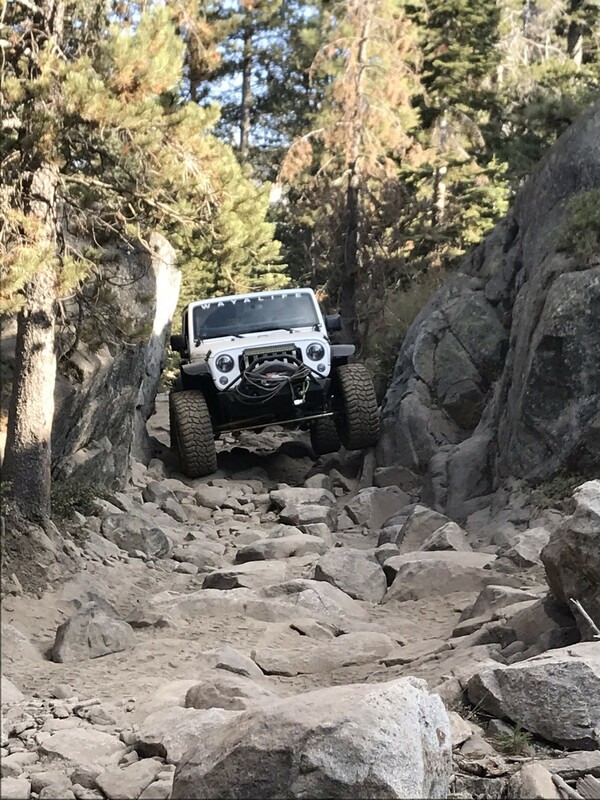 The soil around the rocks has washed away in places making them harder to get over or around but still a good time on the trail. A Burn Ban is in effect for the rest of the summer. Please make plans because you will not be allowed to have campfires (comprised of wood) on the trail. I would suggest a propane campfire. 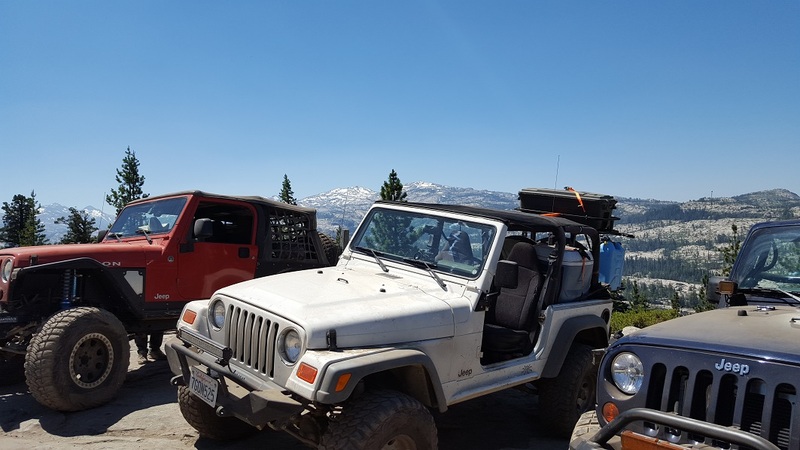 What a great trip, the trail did change a little from the epic winter but wasn't anything we could easily handle. Wish I could say the same thing for the other people we crossed. Long story short every group we passed has major breakdowns from broken axles, to needing to weld on frames. But overall the trail was great, it did rain on us pretty good the last night which made Cadillac Hill a bit of a pain but we all made it up with anyone use the strap. 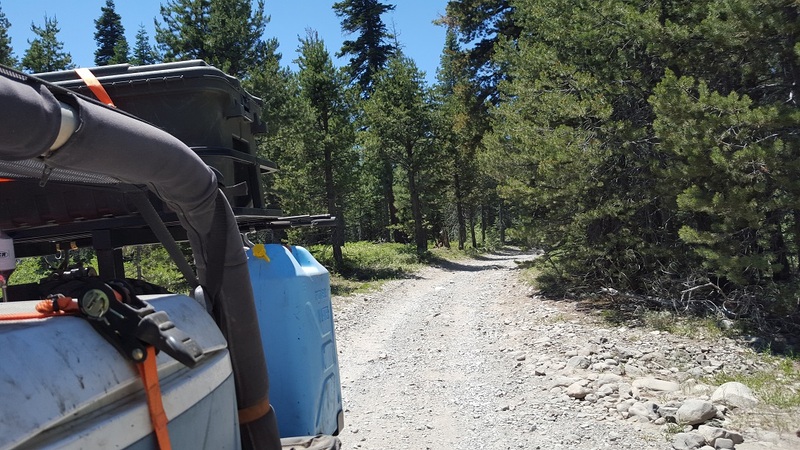 Getting ready for our annual trip to the Con and just received word that fire restrictions are going into effect this Friday Aug 18th. Make sure you bring your gas camp fires if you plan on going after that. If you are on the trail early next week. Make sure you stop by and say high to us and get yourself some stickers. I have talked with many locals and I was told the trial is open and has been cleared. The rock blocking Cadillac hill has been removed or has been moved enough for people to get by. I was told that Cadillac Hill is very wet and slippery so be careful. 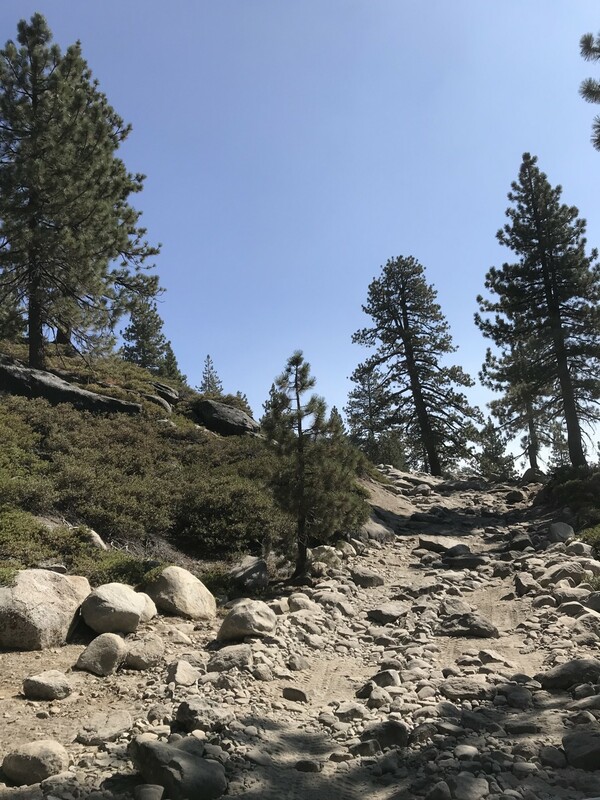 I have spoke to the local Ranger Office and The Rubicon Foundation today, and they indicated the trail is not completable due to snowpack exceeding 72 inches as of 5-10-17. 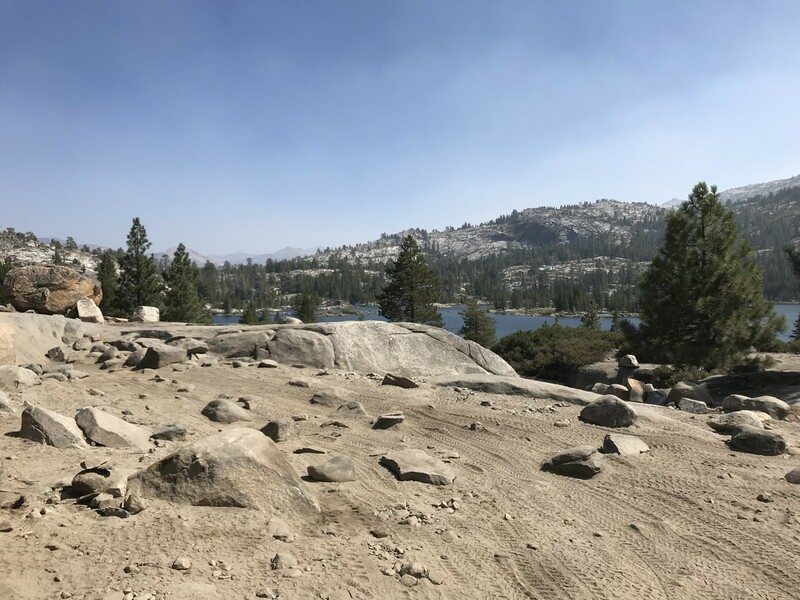 They plan on doing a fly over the first week of June to assess the current trail conditions and provide an estimated melt date if not melted completely by then. They are expecting the snow melt to be 1 week later then normal at this point as long as the weather continues to be the same. Please check back often for updates. 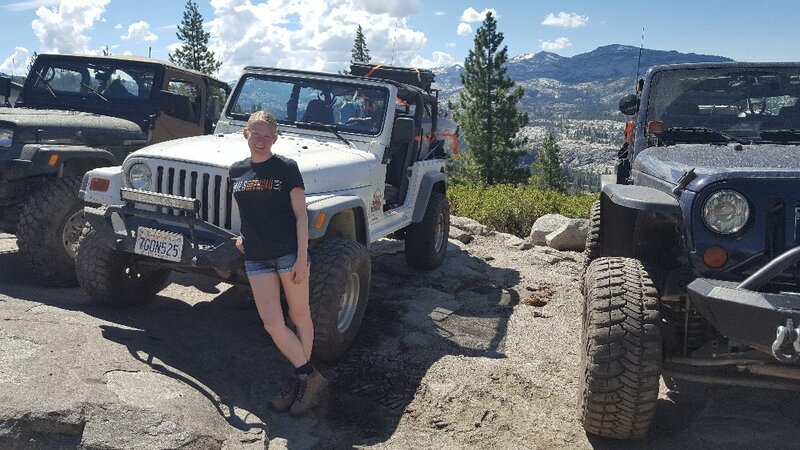 This is my experience running the Rubicon Trail for the first time. 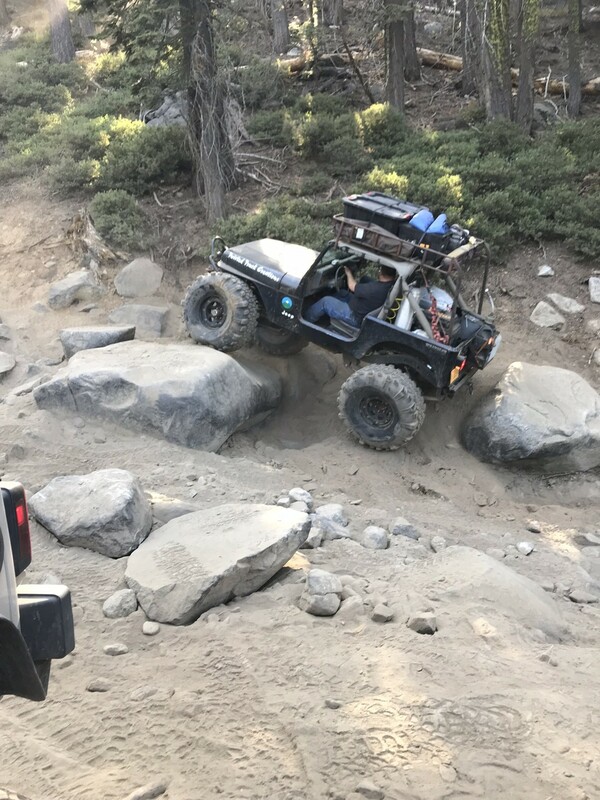 Just one year after getting into wheeling. 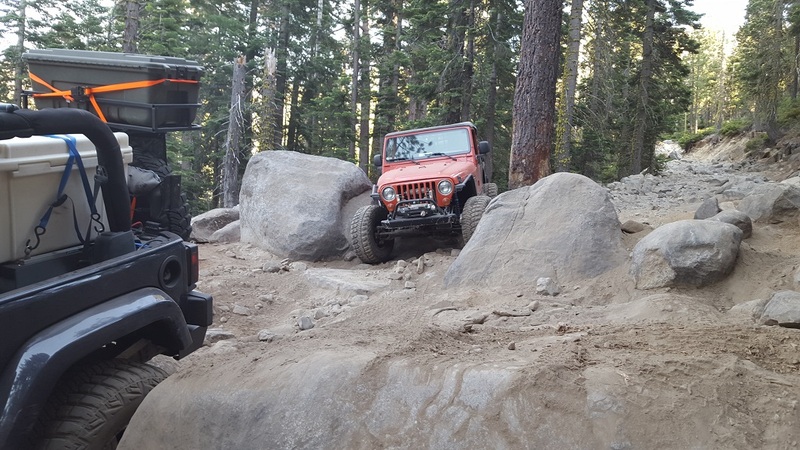 At this point, the hardest obstacle I had faced was a big boulder at Walker Valley ORV in WA. Others will feel very different about what they experience based on their style of driving and personality. But I thought this was going to be relevant to at least some of you, so I’ll share. Just a few weeks ago I met with a friend to discuss my then upcoming trip to Tillamook and get some suggestions and tips from him. During lunch, he’s like “hey dude, why don’t you join us for our trip to the Rubicon?” I was conflicted. 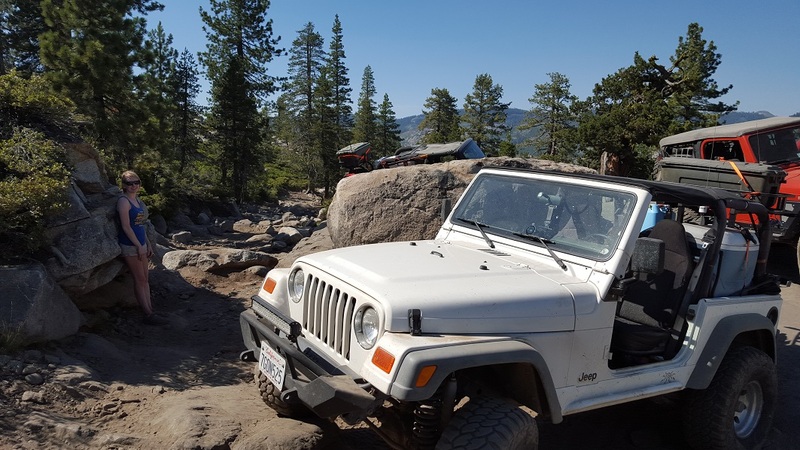 I knew that was something I wanted to do eventually, but I was not thinking I’d go for it at the one year anniversary of when I got my first Jeep. So I said yes. 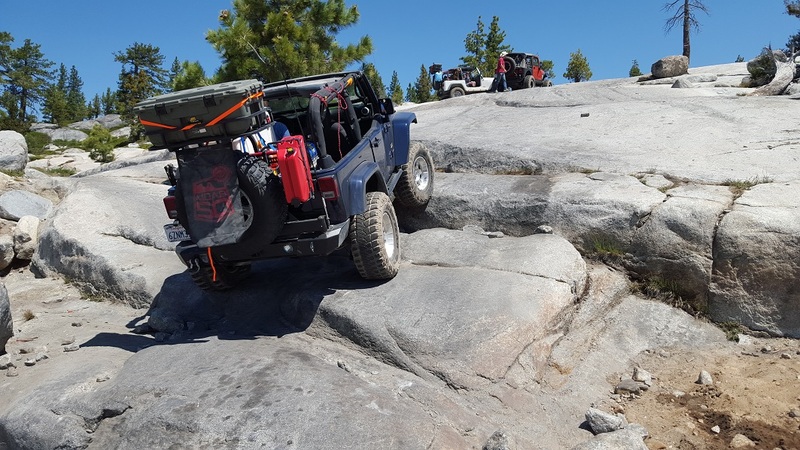 Then I started to worry :-) Mechanically speaking I was more or less ready: I run a Rubicon JKU with front and rear lockers; I have 35’s on a 2.5” lift; I have steel bumpers and rock sliders; I have a lot of recovery gear; just got 4:56 gearing, sleeved and gusseted front axle and a full set of heavy duty Synergy skid plates. And I watched a lot of Rubicon videos. A lot of videos. So off we go. The plan was simple. Drive down to Reno on Saturday, where our base would be. Shop and regroup on Sunday. Leave for the trail on Monday. 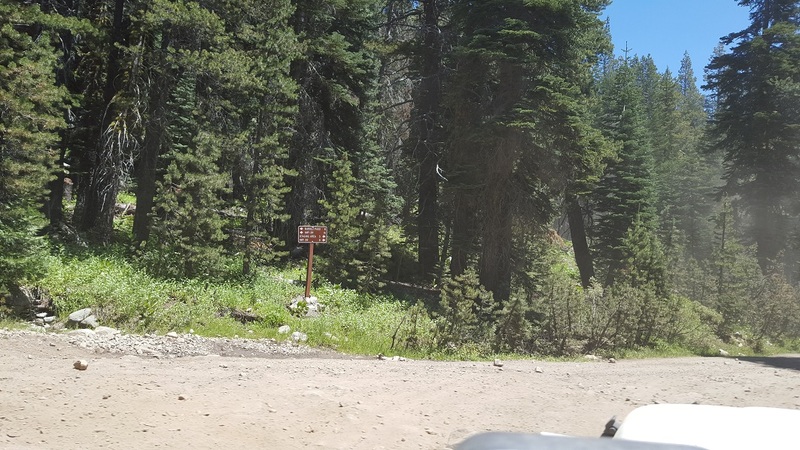 We opted for the Wentworth Springs entrance rather than Loon Lake, it’s less frequented, and there is a really nice named obstacle called The Devil’s Postpile. 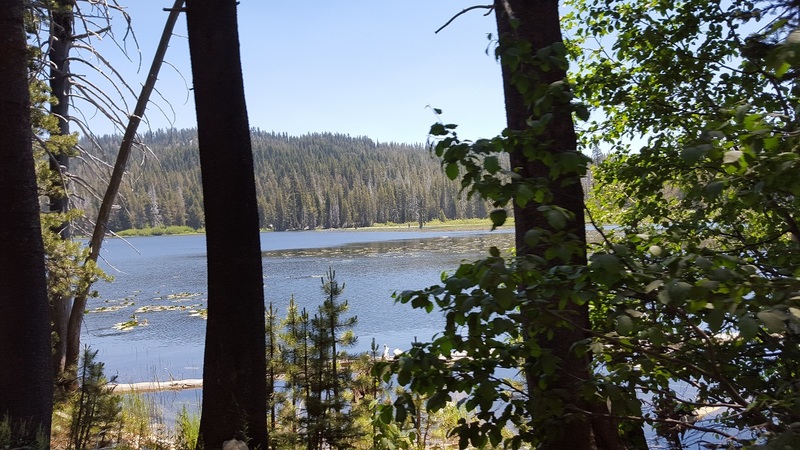 Our first camp would be at Buck Island Lake. 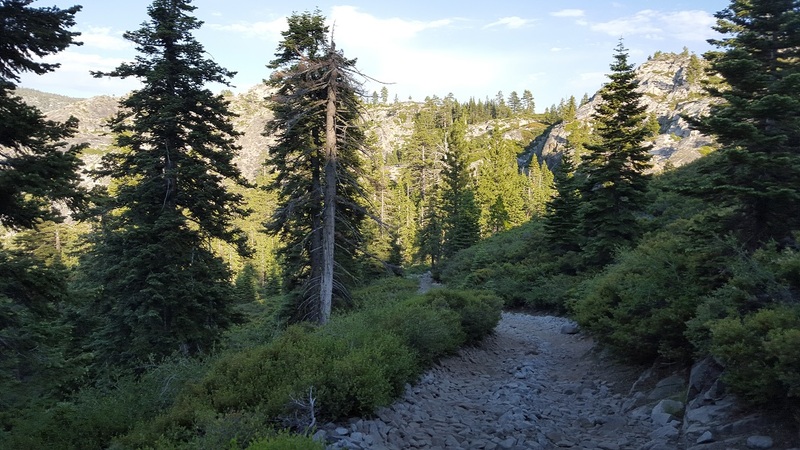 Day two on the trail would be about running Old Sluice, uphill, then head over to Rubicon Springs where we’d camp for the night. Day three would be about getting through Cadillac Hill to Observation Point and out. 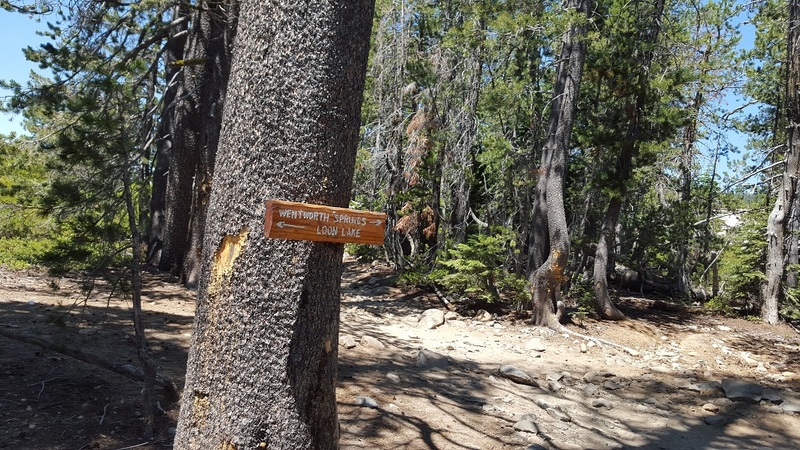 The total for three days would be less than 20 miles of trail. 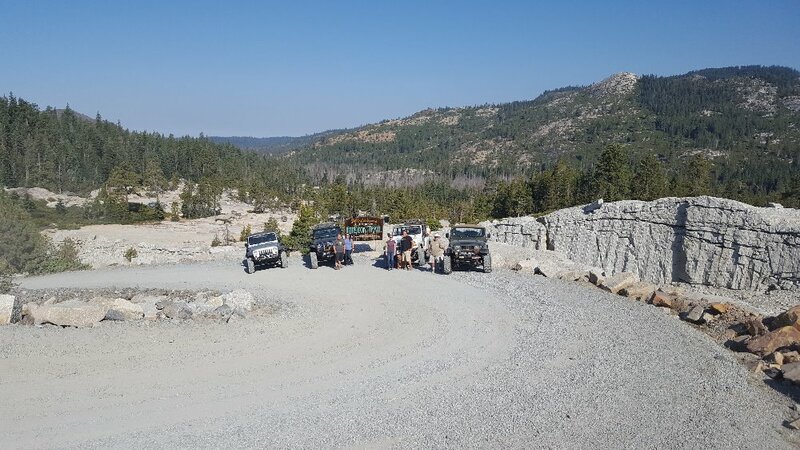 You can plan for the Rubicon Trail in a number of different ways: mechanical readiness, itinerary, supplies, etc. There is nothing I could have done to prepared for it mentally. 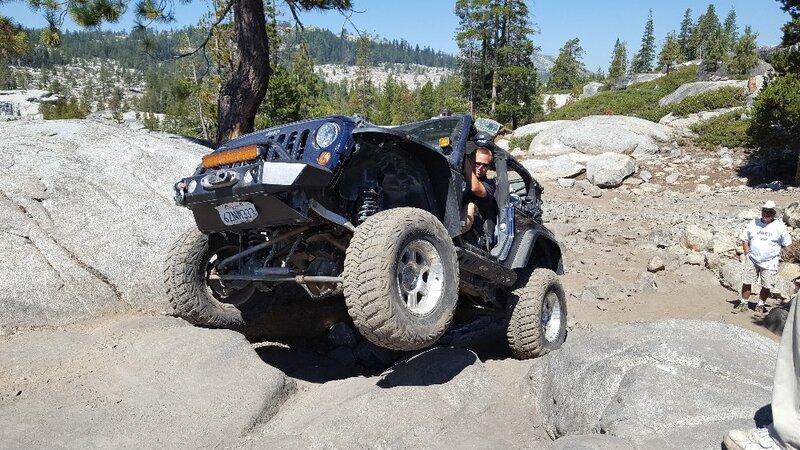 The Rubicon is a like a dog that bites and never lets go. There are several named sections, and those are more difficult. In between those, there is one obstacle after the other. Some easier, some harder. Some have bypasses, most don’t. Even the bypass is not easy by any stretch of the imagination. 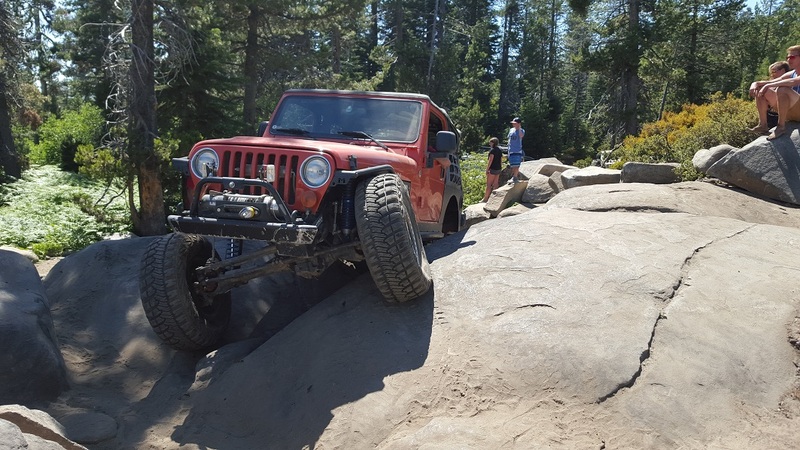 Running the trail on 35’s and 2.5” lift, I was constantly scratching my belly, hitting the frame, skid plates, control arm supports, shock supports, the diff in some cases (careful with that one…). 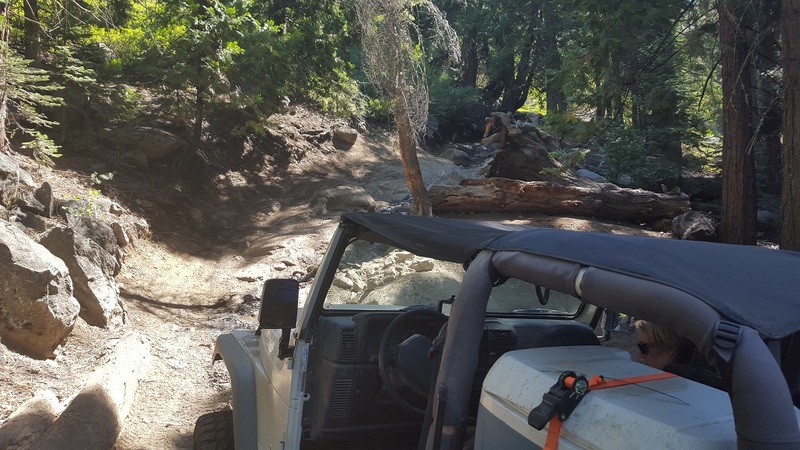 Granted, the Jeep is meant to withstand that level of abuse. The driver? Not so much :-) Do this for eight hours a day and it starts taking a toll on you. You get tired and in turn, start making more mistakes and hitting more. Luckily I had one of the best spotters in the world! With his help, I was able to get through the most challenging parts. Having a good spotter really takes some of the pressure off and makes the whole thing easier. At the end got out with only minor damage: fender flares are a lot more loose compared to when I started. Small dent in a door while hugging a tree on Cadillac Hill. 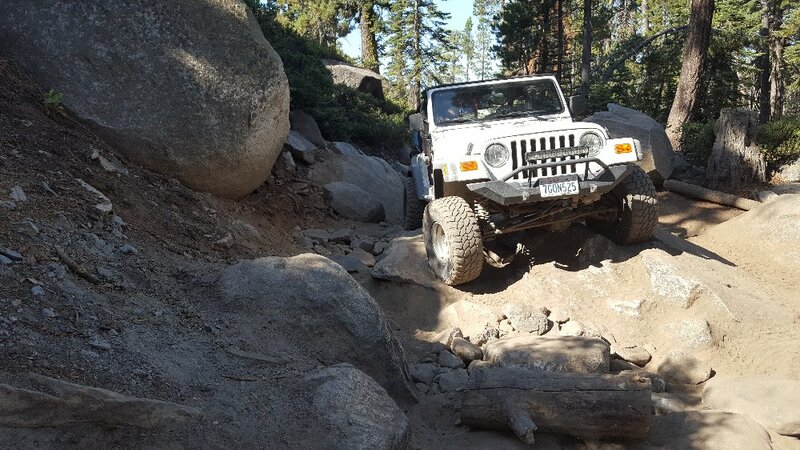 The rock sliders have a severe case of trail rash. Wheels are a giant scratch. Few dents in the bumpers. A big dent in the muffler. Underneath is a mess, but skid plates did their job (best spent money, paid for itself in one trip). 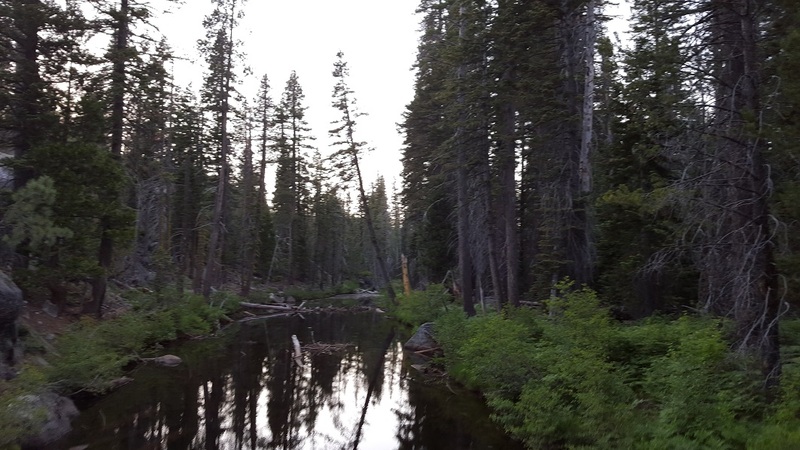 I ran the bypass for Devil’s Postpile. Skipped Soup Bowl. Skipped Old Sluice and took the Indian Trail down to Buck Island Lake instead. Ran the rest: Walker Hill, Little Sluice, Big Sluice, Cadillac Hill. I cannot believe I did most of what was there. I learned a lot in the process. A lot about the vehicle and a lot about me. 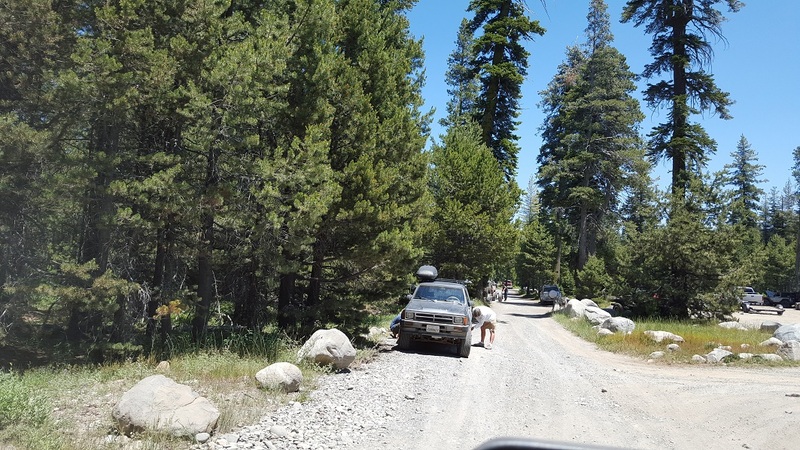 I also learned that videos can only give you a rough idea of the obstacle, but the trail changes a lot from year to year and even daily as hundreds of vehicles make their way through it. In the end, I am glad I did it. 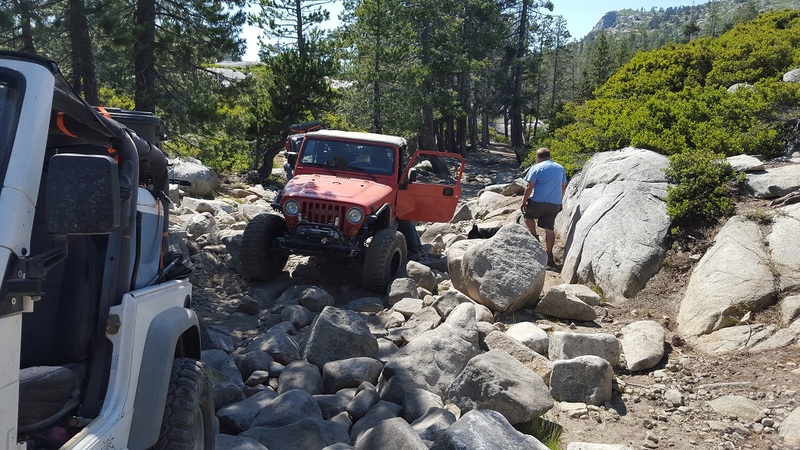 Many off-road enthusiasts do not get the opportunity to wheel the Rubicon. 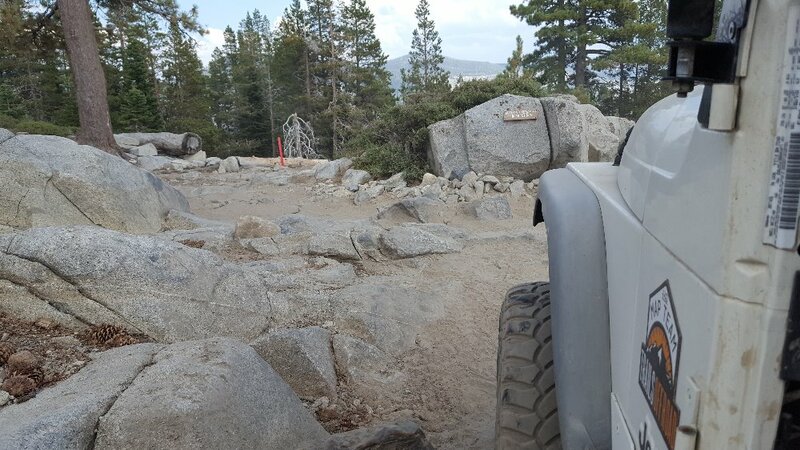 Others do, and end up leaving parts of their off-road vehicle there. I feel lucky that I have done it and got out with only minor scratches. Happy that I learned what I learned. Now I have hours of GoPro video to go through and select the best pictures. I will share as soon as I have something.